Pretty, Ugly-Pretty, or Just Ugly? Hi! I’m back! Where have I been, you may or may not ask? Well, my hubby and I took a two week trip to London for our 10th anniversary, and it was awesome! It’s a big city, so I can’t claim that we saw everything there is to see, but we did visit a ton of great places. In a nutshell, we tackled to varying degrees: the London Eye, Tower of London, The Tower Bridge Exhibition, Shakespeare’s Globe Theater, Wimbledon, Notting Hill, the British Museum, Les Miserables, Buckingham Palace, Abbey Road, the British Library, Kensington Palace, Hyde Park, Speaker’s Corner, double-decker buses, a river tour, Greenwich, Piccadilly Circus, Oxford Street, Harrods, All Souls Church, the Tube, Big Ben, lots of pubs, lots of tea and scones, and lots of other stuff. We got out of London for a day and visited Windsor Castle, Stonehenge, Bath and Lacock. We had awesome weather, we learned tons of stuff, and just really had a super great time! So, that’s where I’ve been. 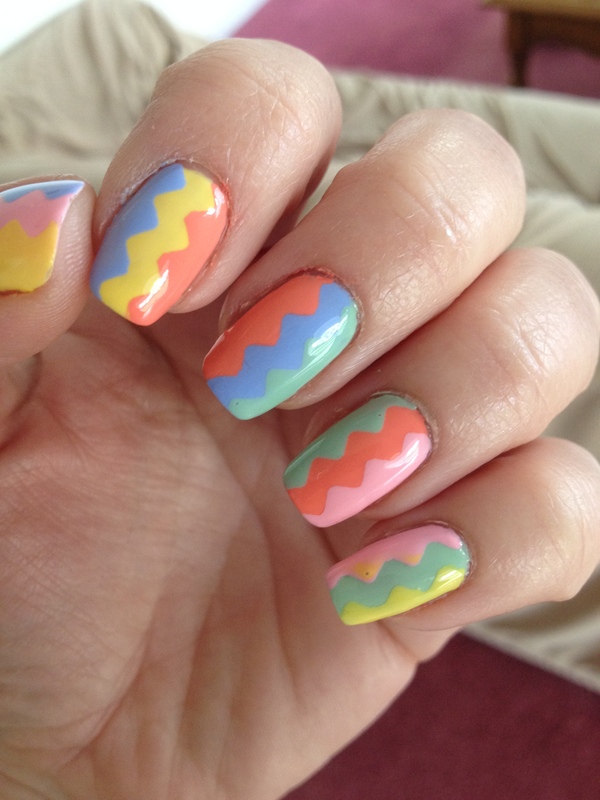 Now back to nails…. 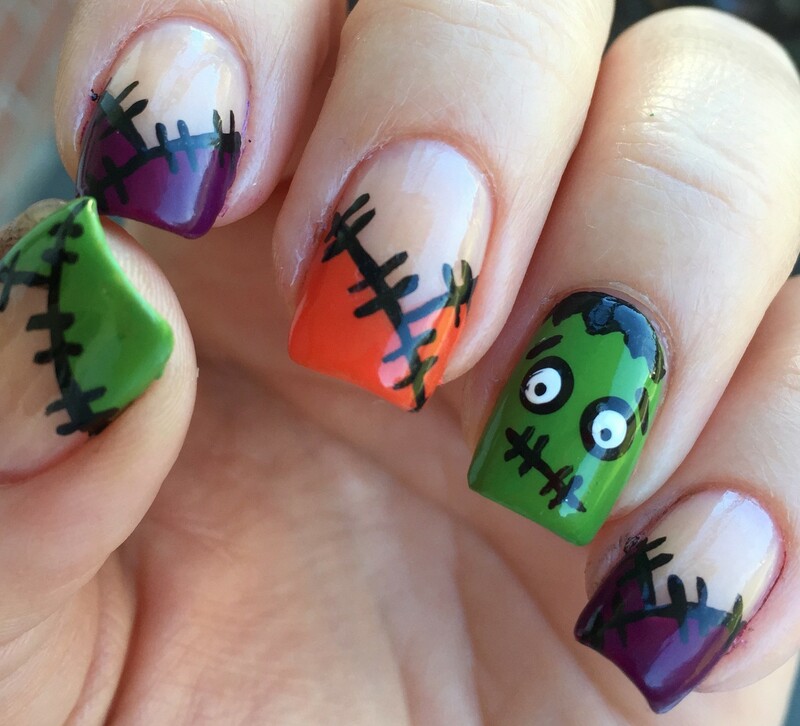 This time of year, all of the nail people start talking about ugly-pretty colors. These are colors that look like that could have been inspired by something gross you encountered in the bathroom after a night of bad choices. To put it frankly, most of the colors that are described as ugly-pretty look like they could either be poo or puke. 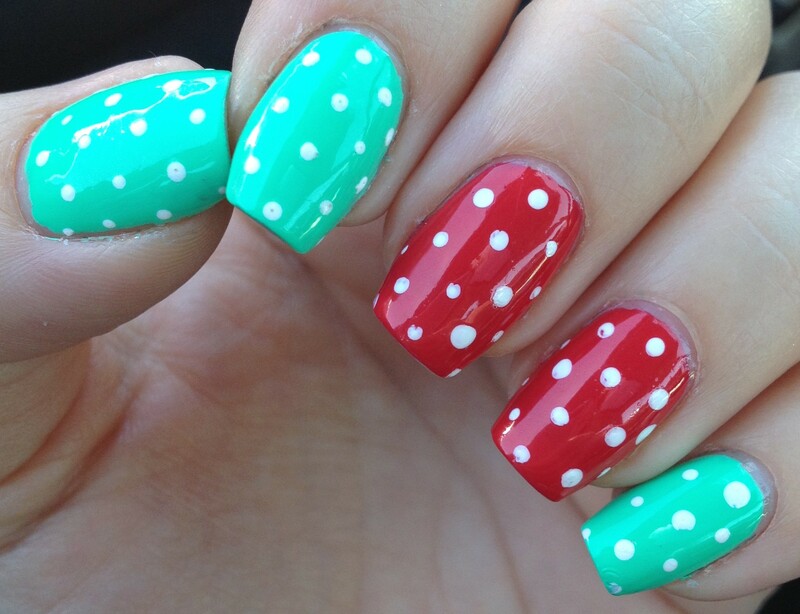 Or maybe they are just colors that are inspired by nature at this time of year. I mean, the grass is browninsh green, the leaves are all shades of green/brown/yellow/orange. Maybe that’s it. All of the ugly-pretty talk on youtube and instagram put me in the mood to do a full manicure of an ugly-pretty polish that had been sitting on my shelf for awhile. 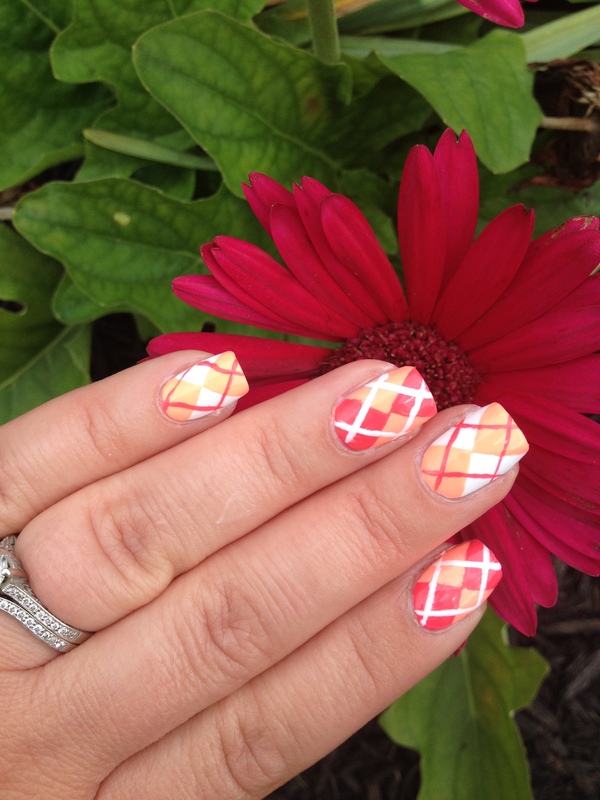 It’s China Glaze – Budding Romance from the Avant Garden collection that came out in the spring of 2013. I picked this one up on clearance for super cheap a year or so ago. At the time I bought it, I definitely thought it was ugly, but #1. It was really cheap, and #2. I didn’t have any other color like it. 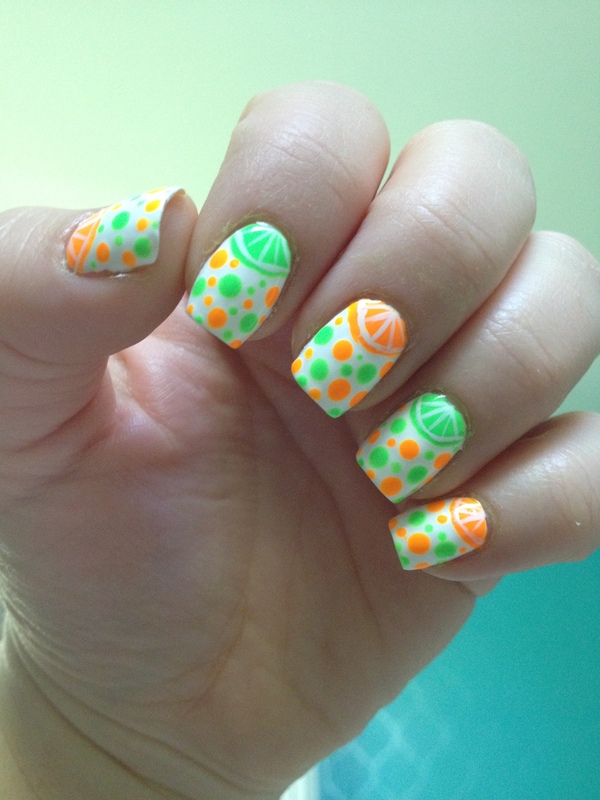 I’ve used it in nail art a time or two, but I’d never done a full mani of this. I figured it was time, and what the heck? You know what I found? I actually liked how this color looks on me! Generally warmer tones don’t work well on my fair pink skin, but I actually liked how this worked with my skin tone. And it was just so shiny! 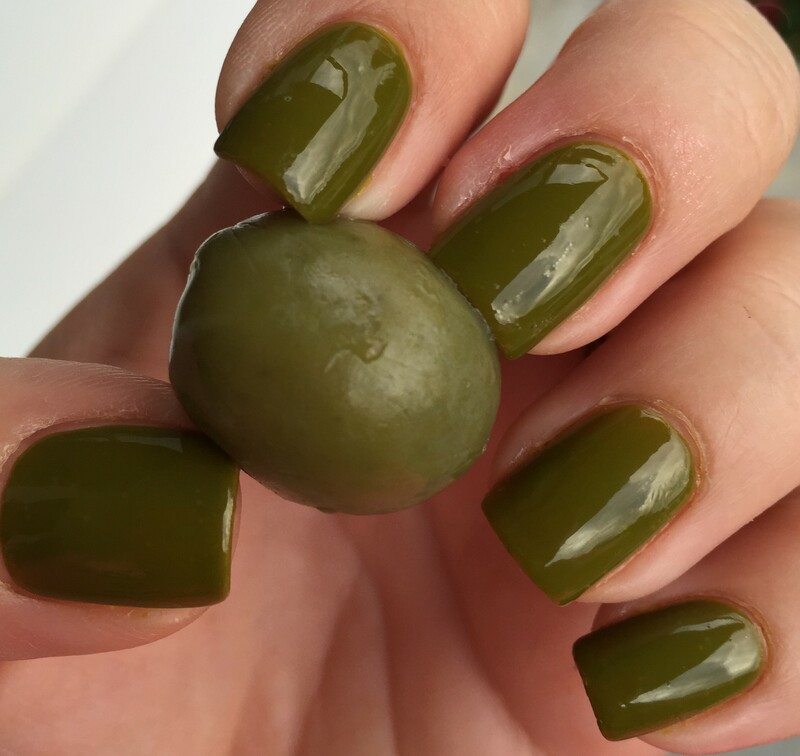 Plus, it’s pretty much the same color as olives, and I LOVE olives! My hubby, on the other hand, didn’t love it. When I asked him his opinion, he furrowed his brow and declared it to be not one of his favorites. 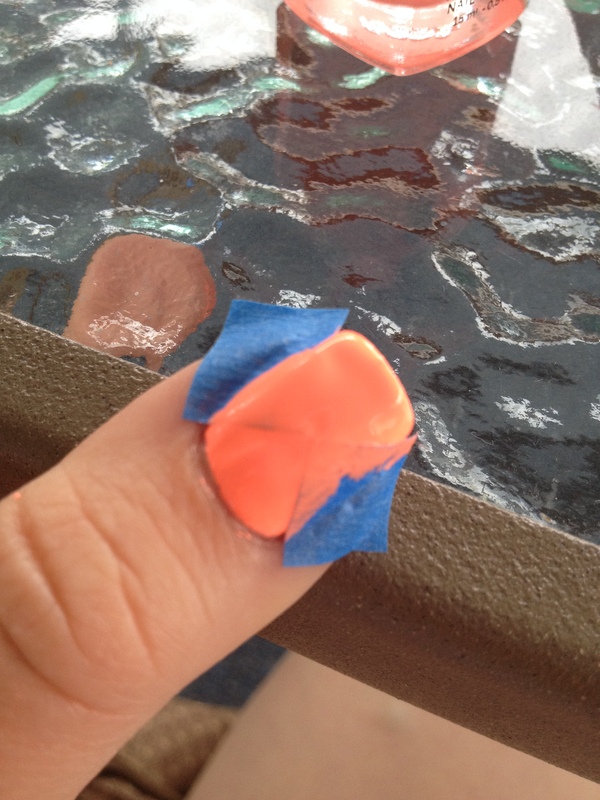 Fortunately, it’s just nail polish and I change it frequently, so it did no permanent damage to our relationship. I should add that he also hates olives. 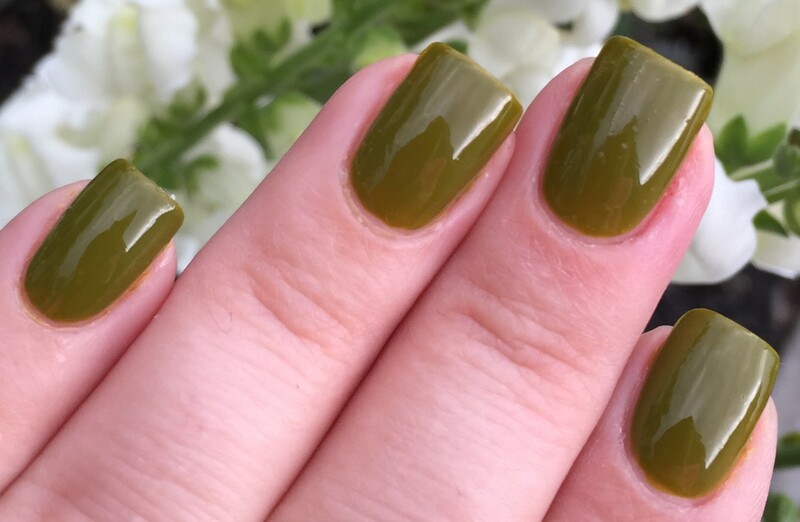 So, what’s your opinion of nail polish in gross shades of green, yellow, or brown? 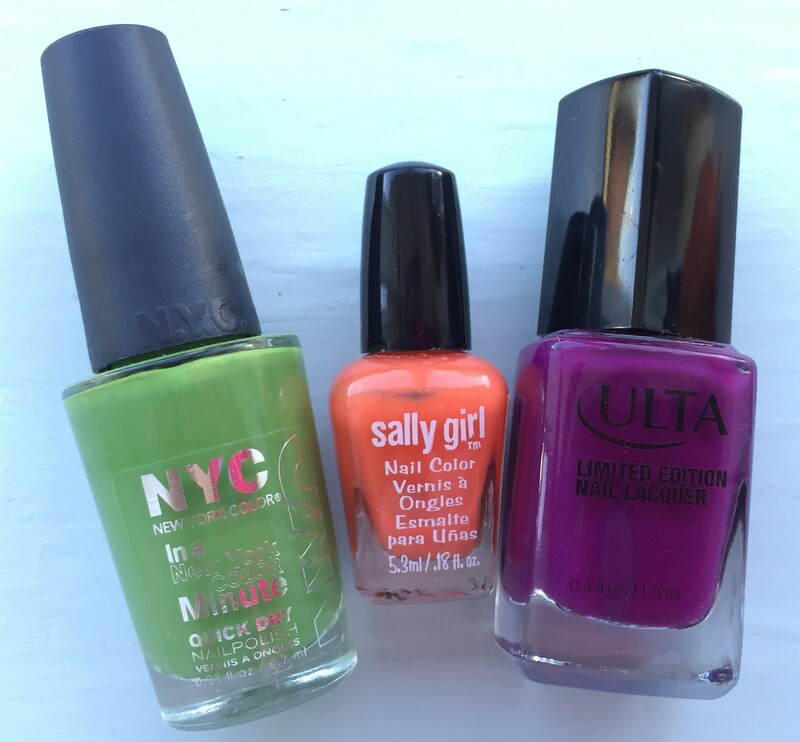 Do you have any favorite ugly-pretty polishes? 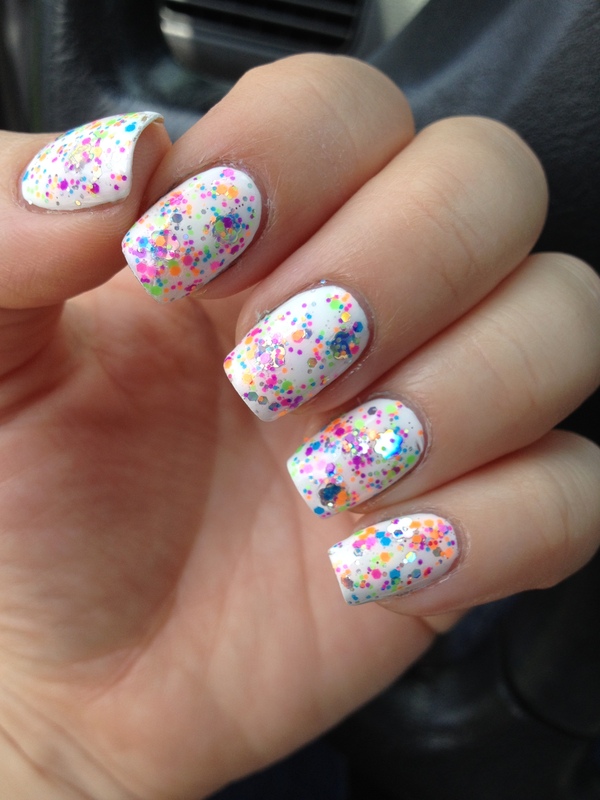 Or do you just prefer to stick with pretty-pretty polishes? A few weeks ago, Influenster sent me this awesome box of stuff free of charge for me to review. I completely appreciate what Colgate is doing with this mouthwash. As a fairly heavy coffee drinker, and a medium wine drinker, I realize that I’m probably doing a number on my enamel every day. To be honest though, I don’t love the flavor. I might be in the minority here, but I like a good burning mouthwash. If my eyes water while I’m swishing, I know I’m getting my mouth clean. 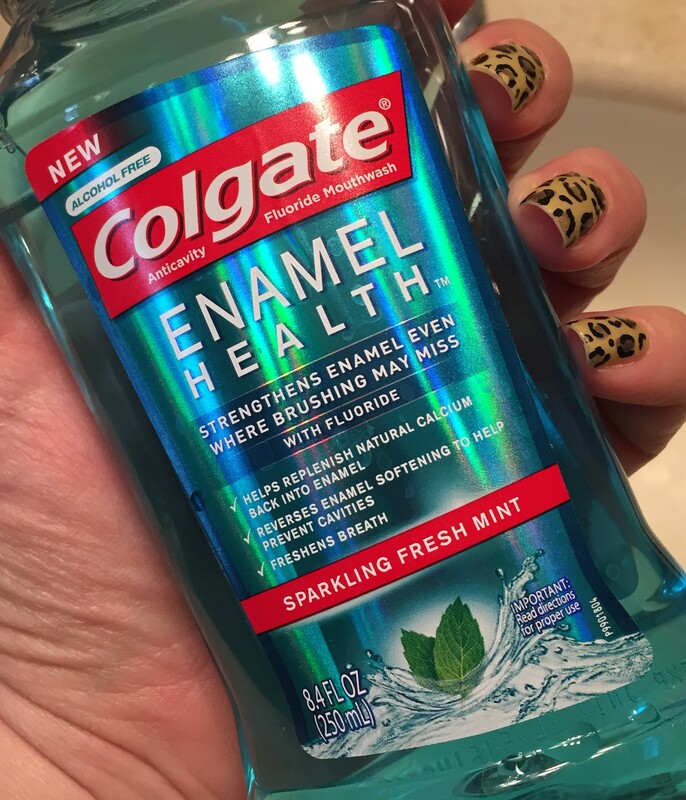 The flavor of this mouth wash was pretty mildly minty and kind of medicinal. I guess the bottom line is that I don’t really love using the product, but sometimes you have to do stuff you don’t really like just because it’s good for you. Yay for adulthood. This 250 ml size retails for $2.99. I like this stuff! I love that they’ve done away with all of the bad-for-you chemicals and created a product that works well and smells good! The shampoo itself is clear and a little on the runny side, but I didn’t find that to be an issue. The fragrance is so nice – sort of citrus-y and herbal-y. It has that kind of pleasant smell that a lot of all natural cleaners have. It lathers nicely and leaves my hair feeling clean, but not stripped. And I think because the formula is a little on the thin side, one bottle will last longer than most shampoos. I’m not sure if this line is available exclusively at Target, but it’s definitely available there. This 12 oz bottle retails for $9.99. 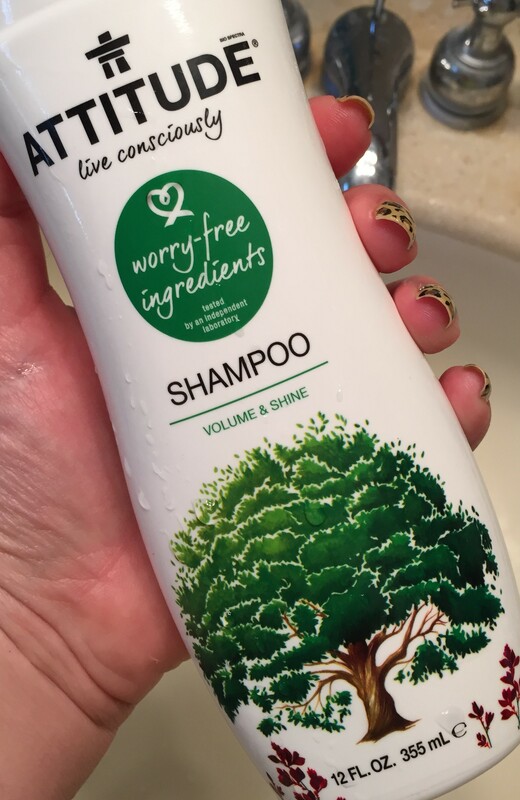 I know, that’s a little expensive for shampoo, but if you’re looking to avoid those nasty chemicals, I really recommend this! First of all, the fragrance reminds me of something from my childhood, and it’s driving me a little bit nuts because I can’t put my finger on what exactly it is. I think it might be Petite Nate by Jean Nate. Does anyone remember that perfume for girls back in the 80s? I even remember the commercials. Anyway, this stuff smell really nice. It’s sort of a light floral scent with a hint of baby powder. Very pleasant and inoffensive. The way this stuff works is that as soon as you’re done with your shower, before you dry off, you slather this all over, and then you blot dry with a towel or just air dry. I found that for me, about a quarter-sized dollop covered everything from the waist up, and a dime-size amount worked for each leg. The directions on the bottle recommend using a bit more than that, but I found that if I used more, I felt like I had this residue on my skin, and that bothered me. When I used a lesser amount, I really liked how my skin felt right after applying it – super silky and hydrated. What? The little asterisk says that it takes half the time versus ordinary lotion… How much time do the rest of you spend applying lotion? I really don’t feel like this product reduced my “getting ready” time at all. Really, this product just means that you moisturize before you dry off instead of after. And even if it takes half the time, how long does it take to apply regular lotion? Thirty seconds? 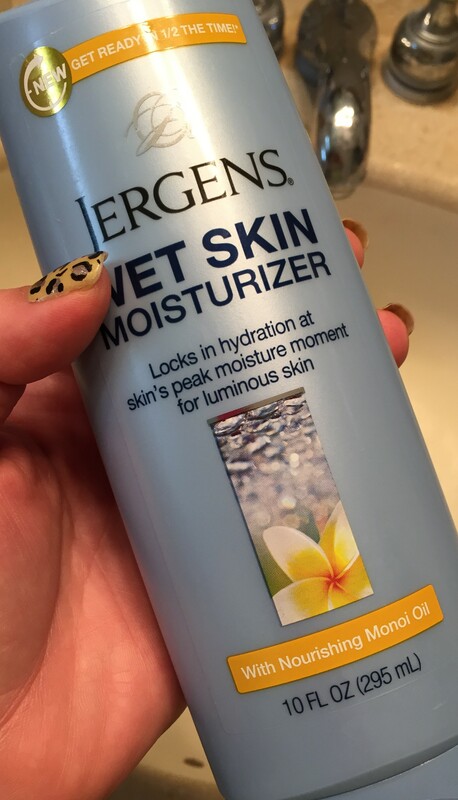 So lets say it only takes 15 seconds to use this Jergens stuff. That extra 15 seconds is hardly life changing. Anyway, that’s the end of my rant. I just wish they’d take that silly claim off the bottle. A more serious claim of this product is that you get 2X the moisturization compared to regular lotion. From my experience, I’ll have to disagree. Immediately after applying it, my skin does feel really great, but after a few hours, my skin would start to feel dry. After using this product for about 5 days in a row, I started to develop dry, itchy patches on my upper arms and calves. After a few itchy days, I switched back to using my normal routine of applying Bath & Body Works lotion after my shower, and within a few days, my dry, itchy patches cleared right up. Recently, I’ve just been using it once or twice a week, and I’ve been using my regular lotion on most days. That’s sort of disappointing, because I really like the fragrance and how it makes my skin feel immediately after use. I think this product would be best for someone who really doesn’t have any issues with dry skin and would just like a really light moisturizer. This 10 ounce bottle retails for $7.99. I really like this product! It is a clear gel, but when you rub it in your fingers it lathers up really well. And you only need a pea size dollop. Well, maybe the size of a big pea. The fragrance is just sort of a generic soapy smell. This stuff is apparently infused with snow mushrooms. Okay. But really, it lathers up so well, and… Do you remember Noxzema? Is Noxzema still around? Well back in the 90s, all the teenage girls uses that stuff. It basically made your skin feel like it was freeing and on fire at the same time, but we were sure that meant our faces were getting really clean. 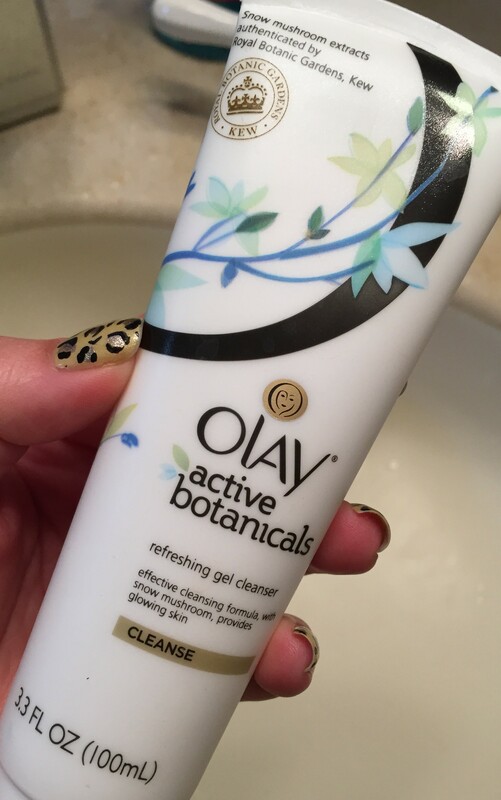 Well, this Olay cleanser has this mild cooling effect that took me back 20 years to my Noxzema days. It’s just a mild kind of cool feeling. Very pleasant, I must say! And it really leaves my skin feeling clean, but not overly dried out. I’ve been using it daily for a few weeks, and I’m definitely a fan! This 3.3 ounce tube retails for $5.99, but that tube is going to last forever, because you only need a little bit to do the job. Oh, and I should add that my skin can be sort of sensitive, but this hasn’t bothered me at all. I was also sent a few little samples. I received one ounce of ATTITUDE Dishwashing Liquid that I haven’t actually used yet. It’s carcinogen free, which of course is great! I also got a sample of UrgentRx Ache and Pain Relief To-Go. It’s aspirin in a flavored powder form that you can take without water. I haven’t uses that yet either, but it seems like a great product, especially for people who have problems swallowing pills. 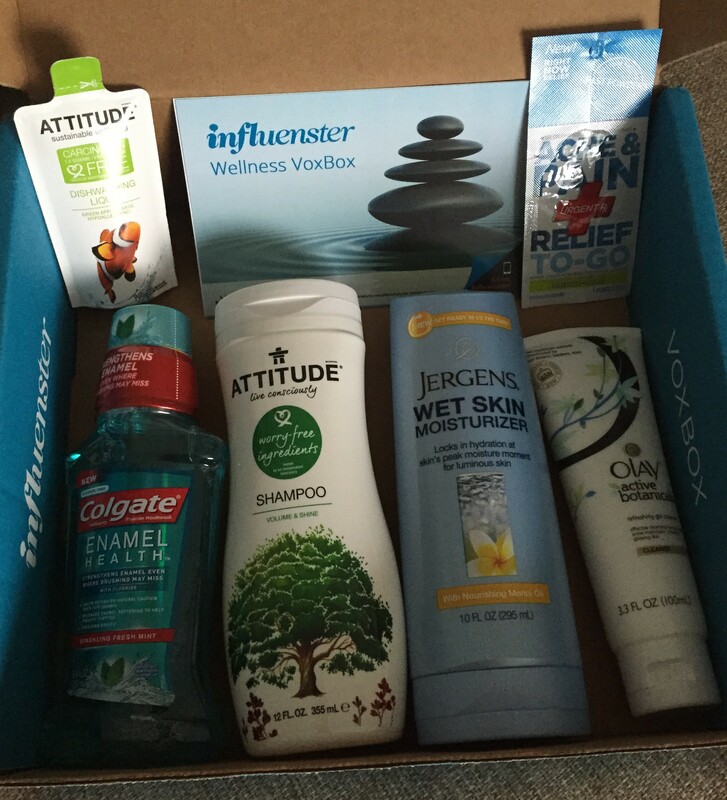 So, that’s my whole review of my Influenster Wellness VoxBox products. I hope you found this helpful! Ta-da! 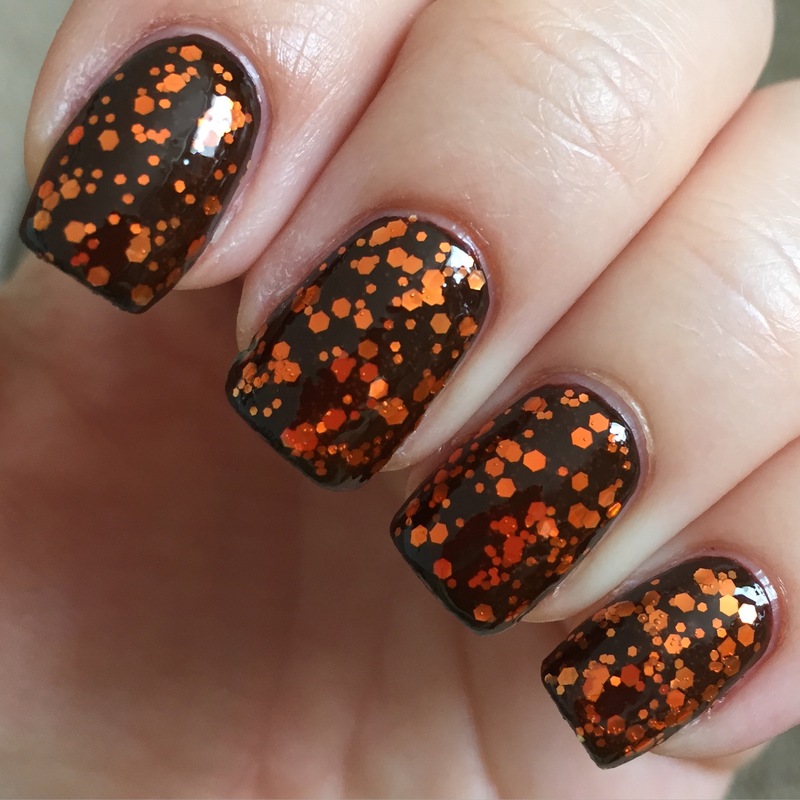 Super easy fall nails! 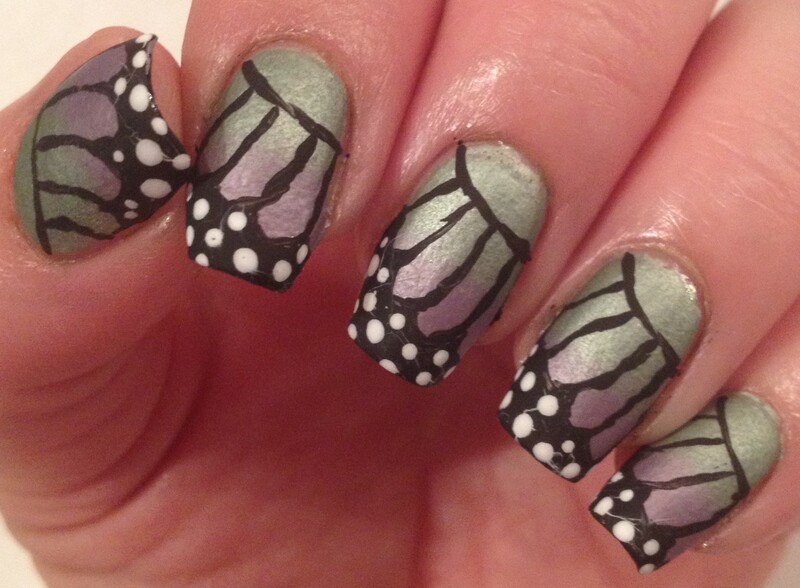 In August I was a bit of a slacker in the nail art department. 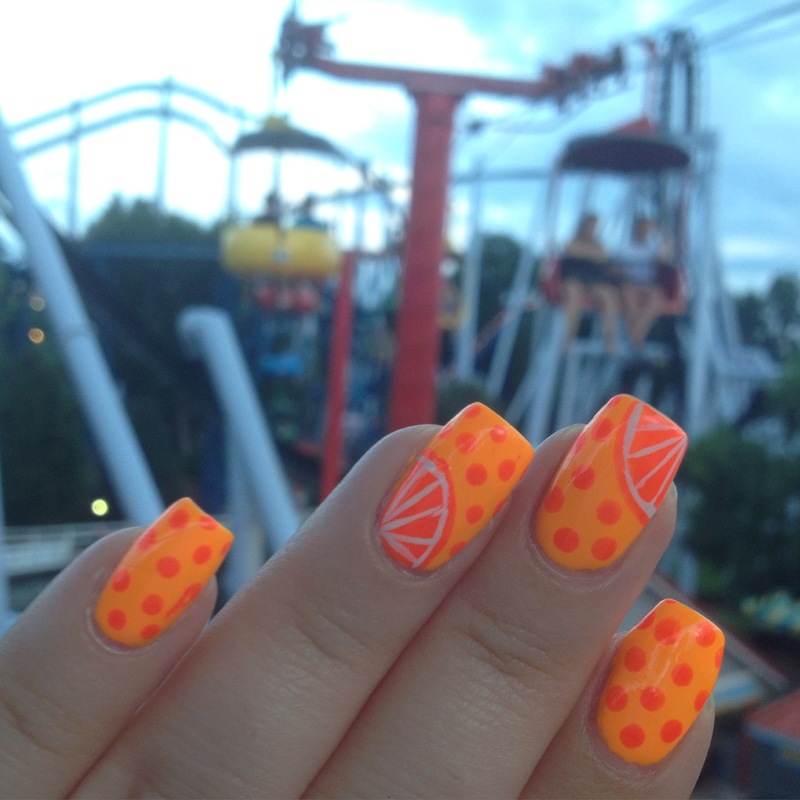 I ended up wearing a lot of neon polish,. 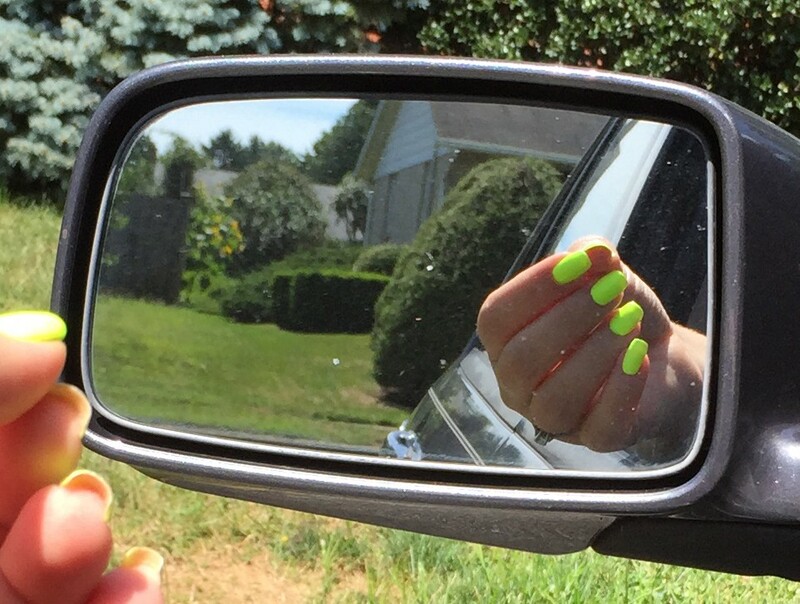 I was feeling that summer-is-coming-to-and-end crunch, and I felt like I needed to squeeze in as much obnoxiously bright polish as possible. 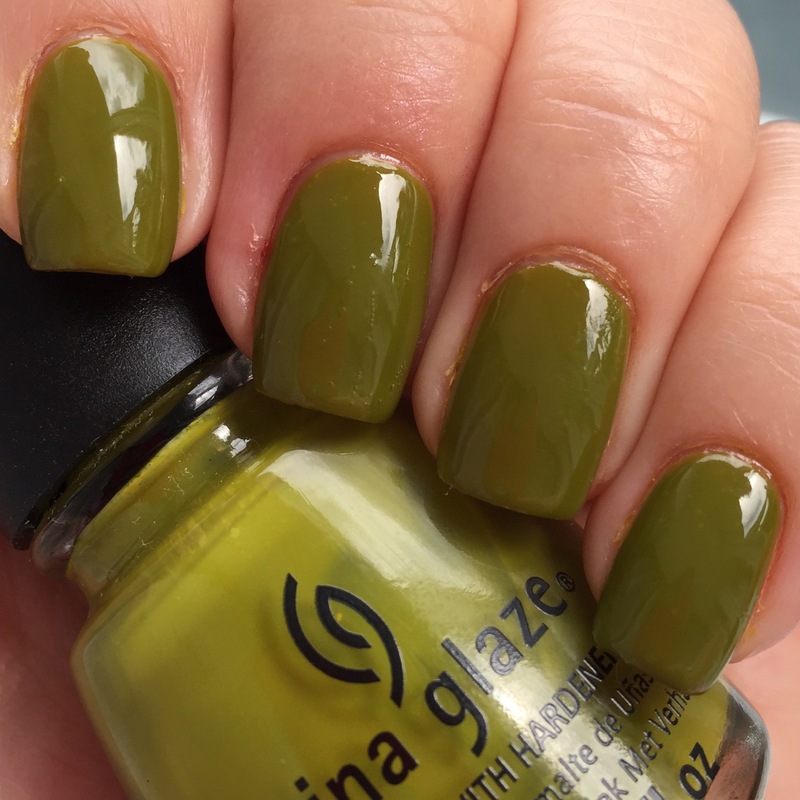 I found a little bottle of China Glaze – Celtic Sun for $2.49 at Sally Beauty Supply, so I finally added this one to my collection. Although I have a few neon yellows, this is truly the brightest of the bunch. 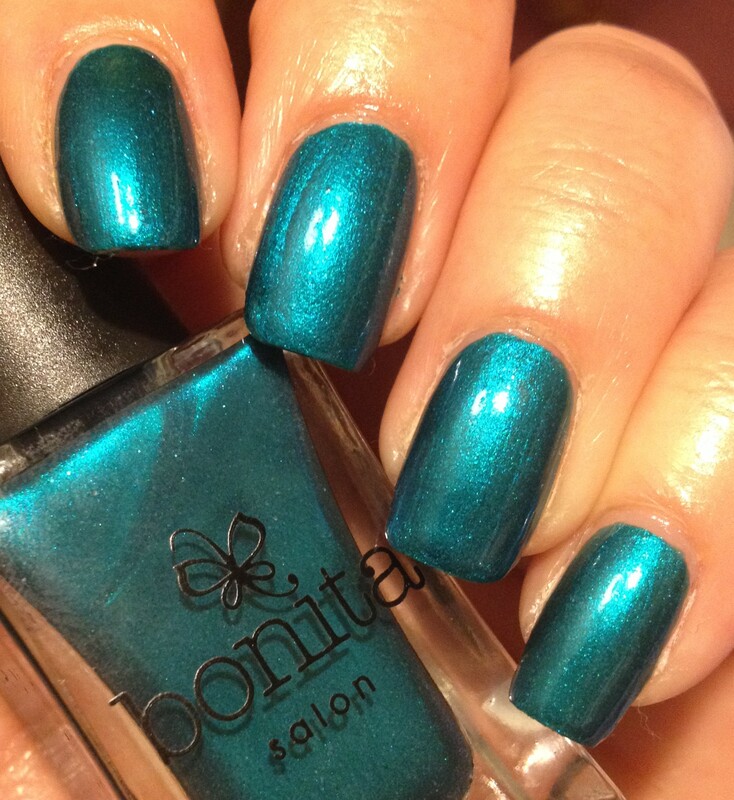 This polish will definitely get you noticed, if that’s your goal. 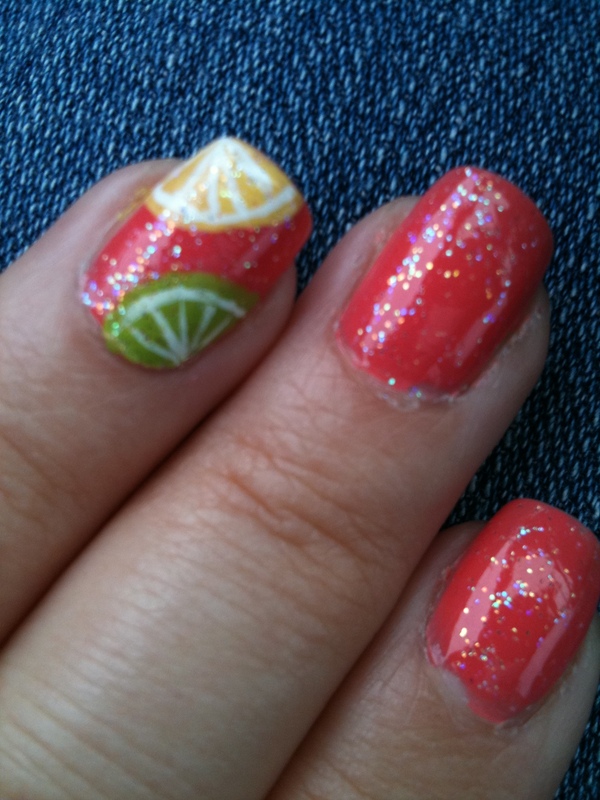 I enjoyed adding some shimmery toppers to my neon polish, too. 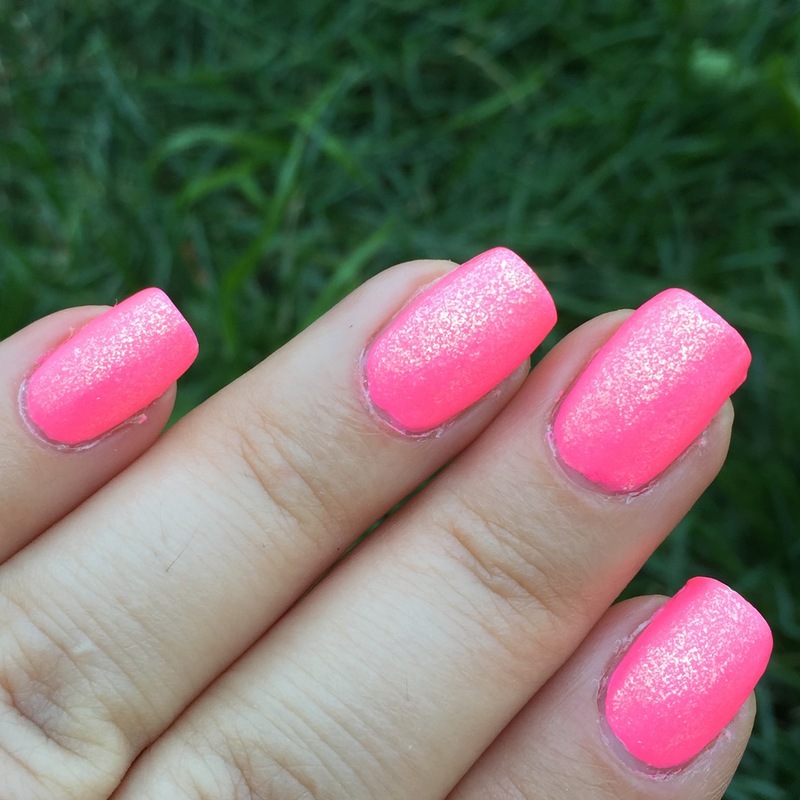 Here is an unnamed Sally Girl light neon pink that is really similar to China Glaze – Shocking Pink topped with Valley Girl Lacquer – Profundity. I opted for a matte top coat, too. 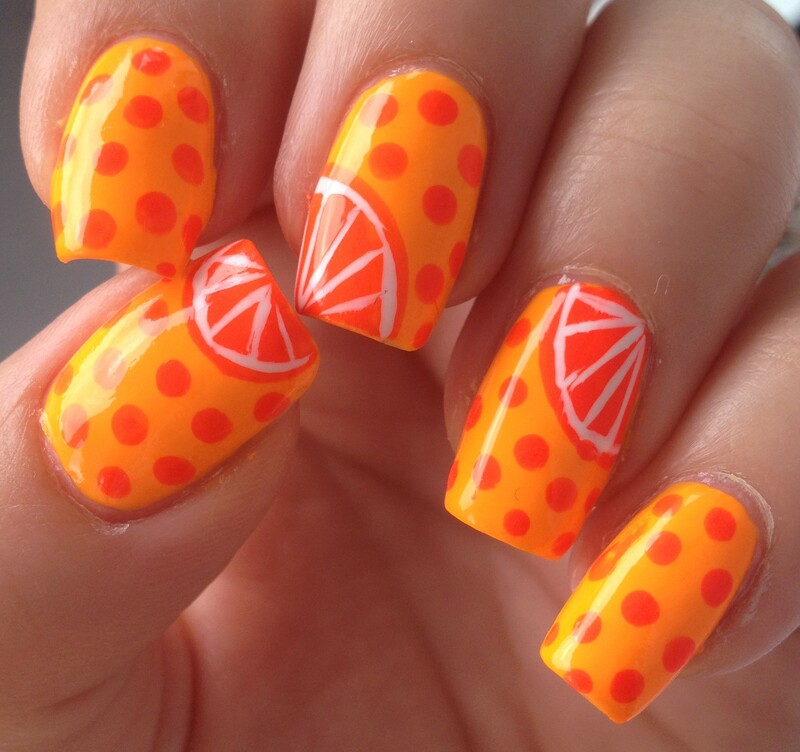 Here is Orly – Fireball topped with Valley Girl Lacquer – Enigma. 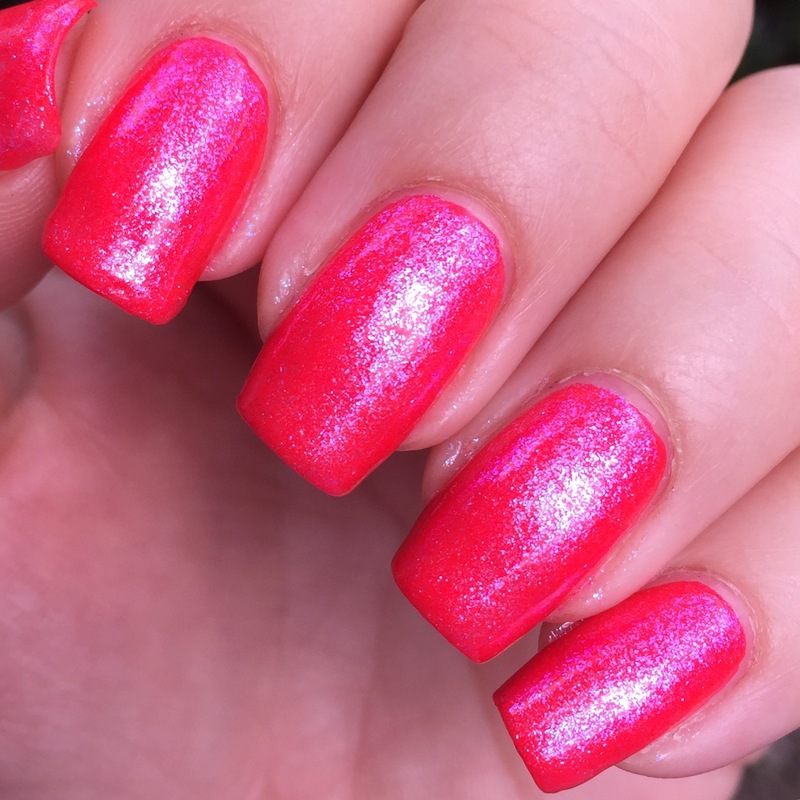 Fireball is a beautiful neon red with a blue shimmer in it. Unfortunately, the blue shimmer didn’t really show up on the nail as well as it did in the bottle. Fortunately, I had Enigma on hand, so I added my own shimmer! I also had some fun with glitter in August. 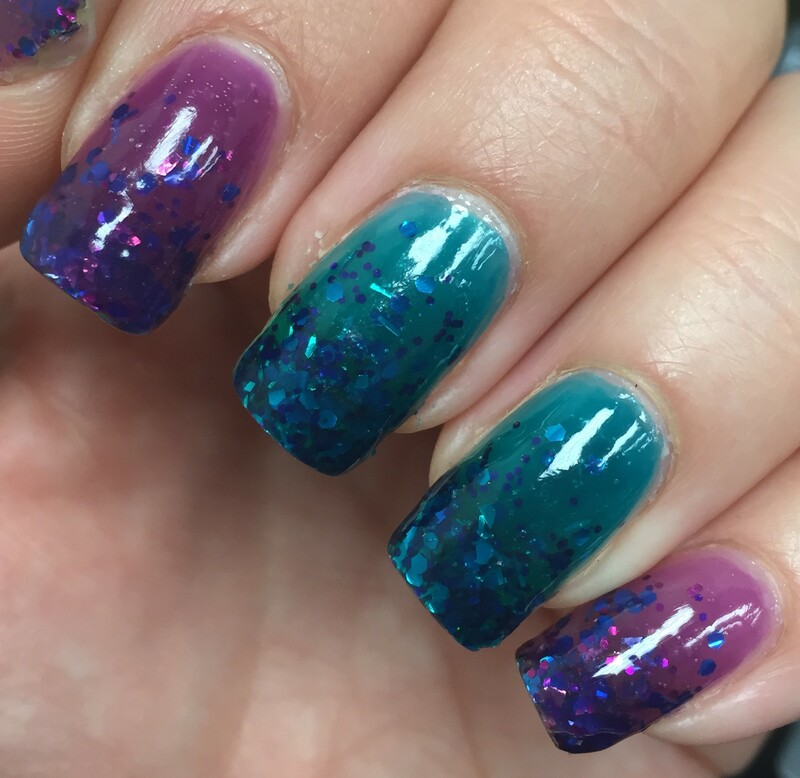 Here’s a gradient I did using LA Girl Color Pop – Rebel over my natural nail. I’ve only ever seen the LA Girl Color Pop polishes at Rite Aid, and they are pretty inexpensive. They are often on sale for two for $4. 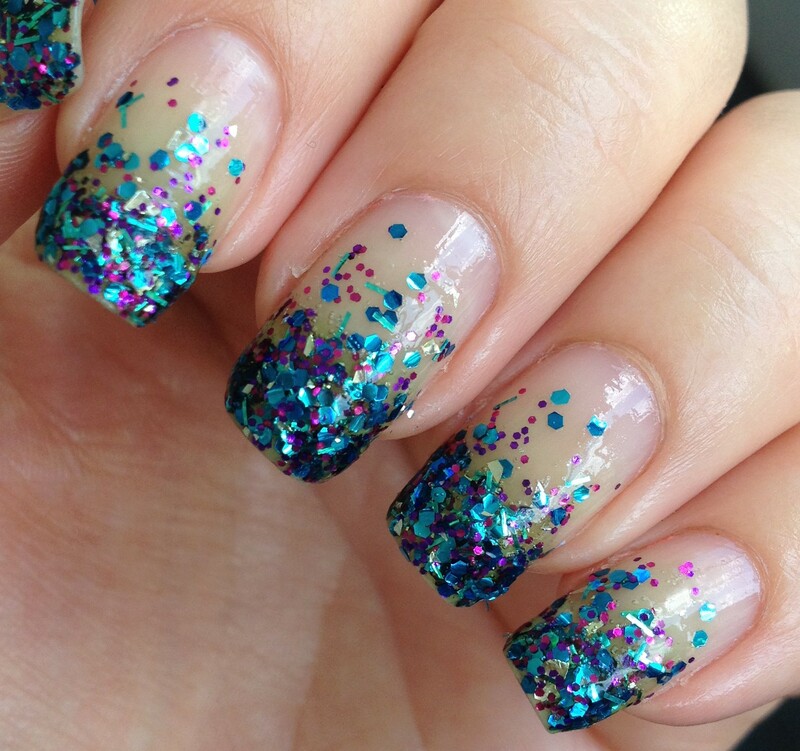 While I was wearing this glitter gradient, I was given two of the Essie Silk Watercolor polishes. Since I was pretty much dreading removing this glitter, I opted to make it last a little longer by topping it with the Essie polishes. The purple color is No Shrinking Violet and the teal is Pen and Inky. So fun and shiny and squishy! 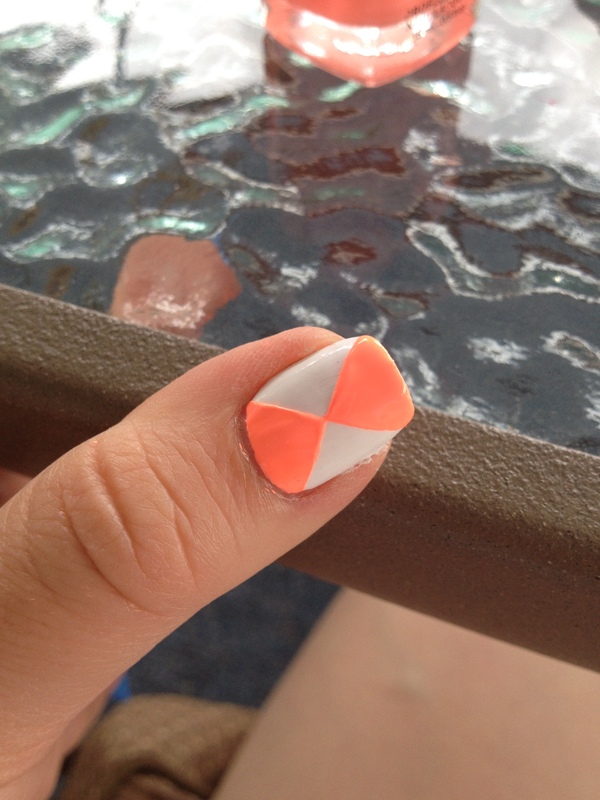 I did actually do one bit of legitimate nail art in August. After all of the bright colors, I felt I needed something a little more subdued, and it had been ages since I had done some simple, classic leopard print nails. 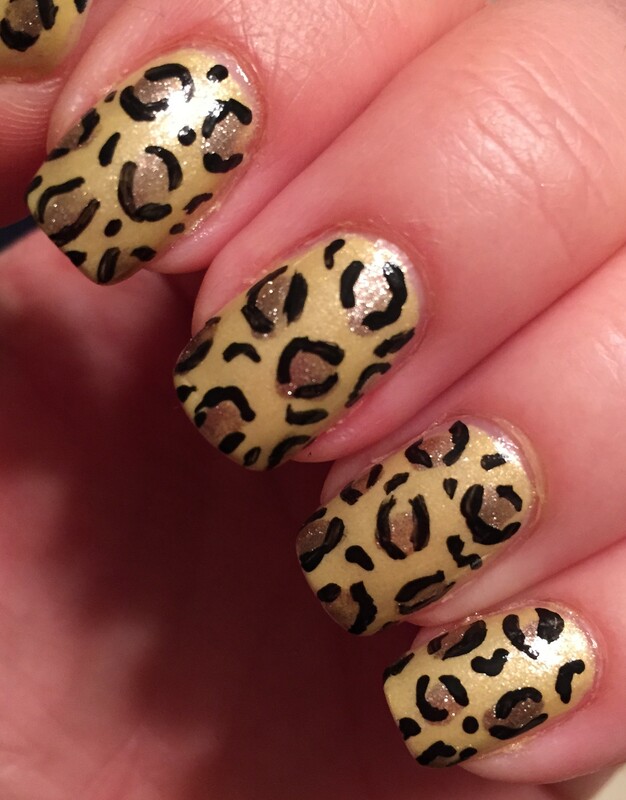 Leopard print is really so easy and takes very little skill. 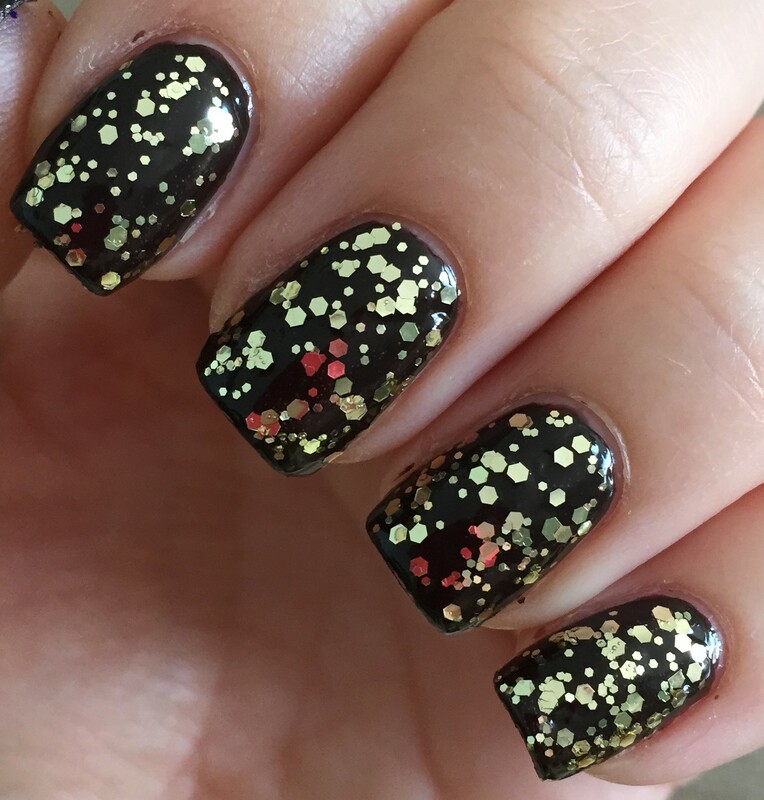 After applying my base color, I just used the brush of the metalic-y bronze-y brown polish to make my spots. Then I used a little dotting tool to quasi outline the spots in black. (A toothpick would work just fine for this step.) Then I filled in any extra spaces with black dots or “C” shapes. It looks way more complicated than it actually is. Just a little aside: This pattern is sometimes referred to as cheetah print, but if you look at actual cheetahs, you’ll notice that they just have regular black spots. Leopards are the ones who have this circular type pattern. 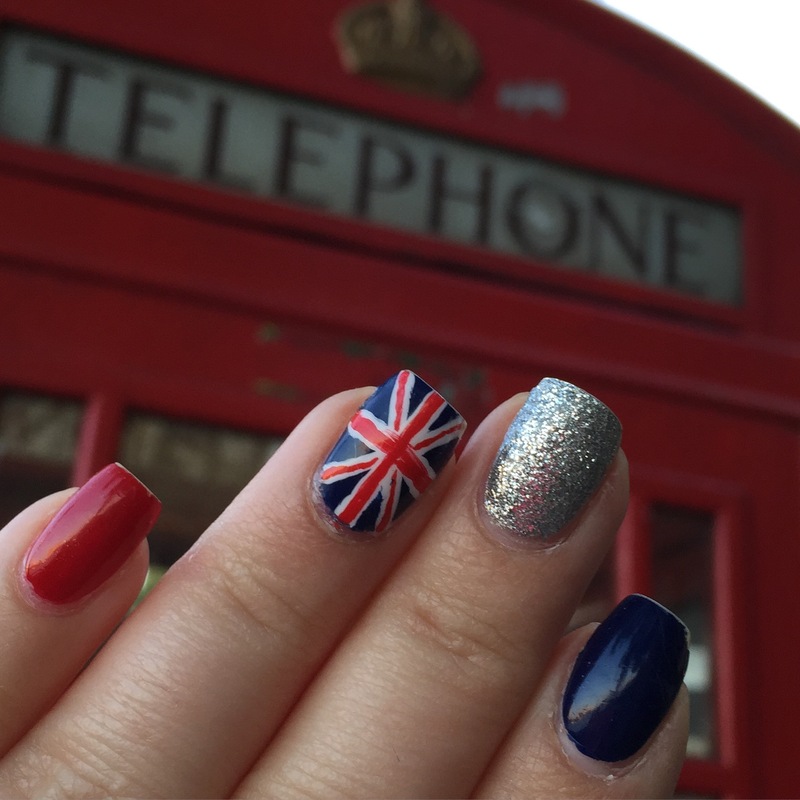 So, that’s what happened on my nails in August! My next post is going to be non-nail stuff. Through influenster.com, I was sent some products to review, so I’ll be covering those items next. Oh, and just in case you were wondering… I’m not tackling the 31 Day Challenge this September. I just knew that with some of the other things in life that I have coming up this month, I wouldn’t be able to do it justice. 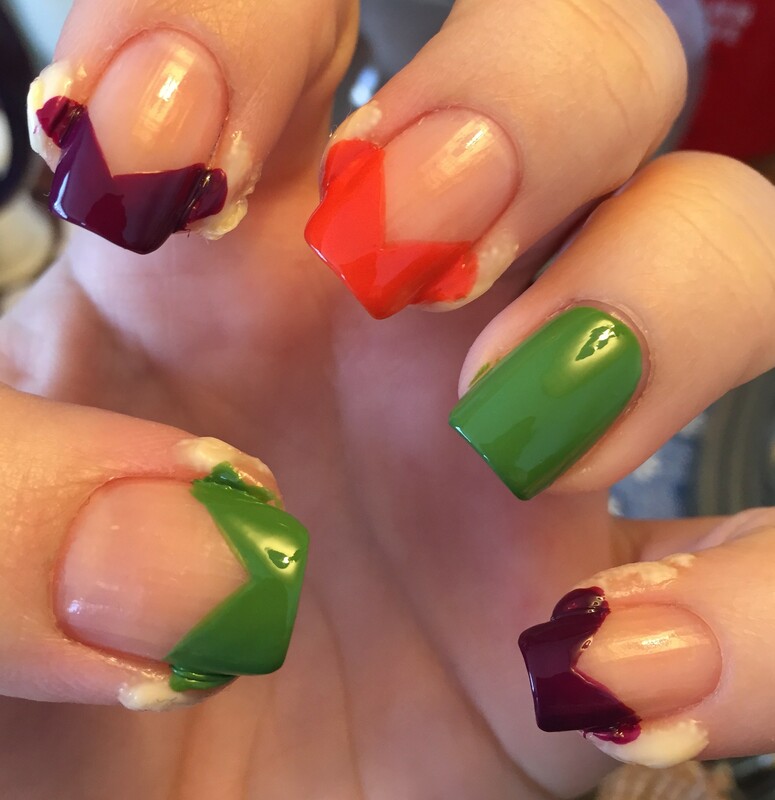 I love checking out what other nail art lovers are doing for #31dc2015, and I’m a little sad not to be joining in. Maybe next year. 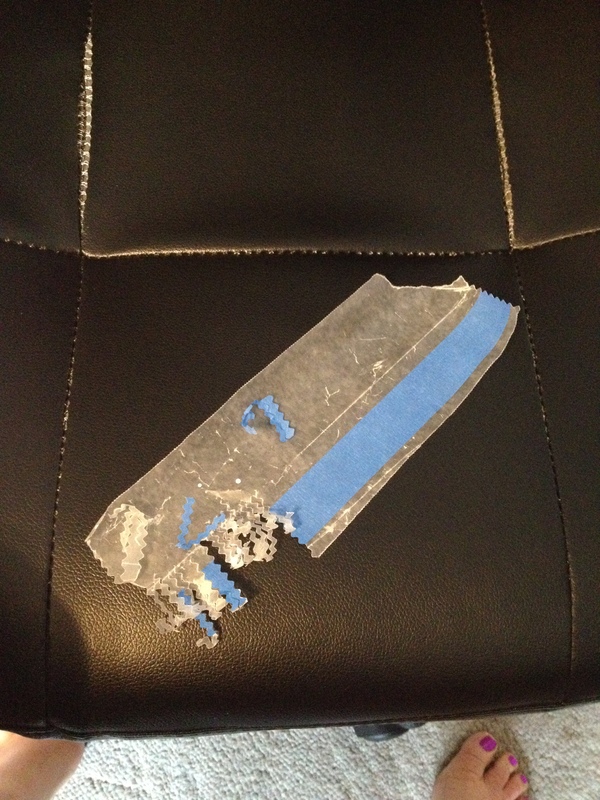 I’m currently trapped in my computer room at home while some guys install our new carpet in our living room. I figured writing a new post is a good use of time while I’m a prisoner in my own home. 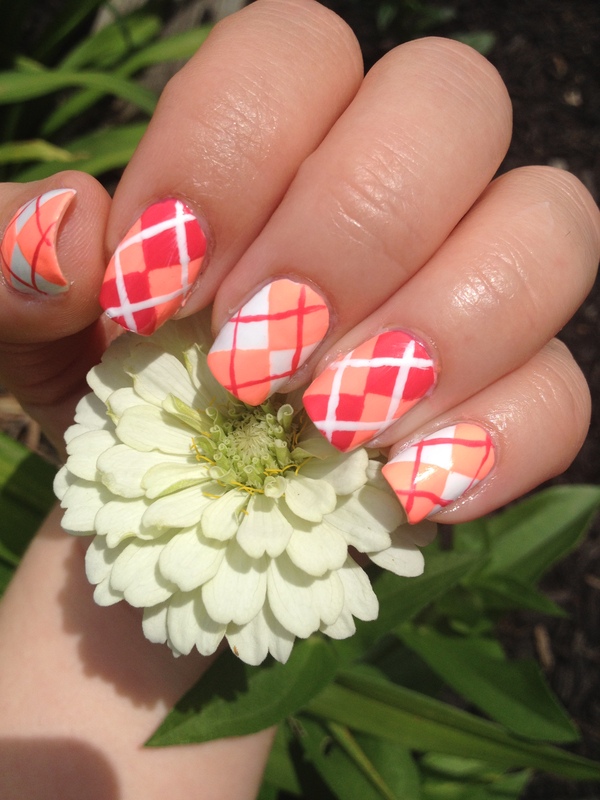 Here’s a mani I did a week or two ago for the Weekly Nail Art Challenge (#wnac2015) on instagram. 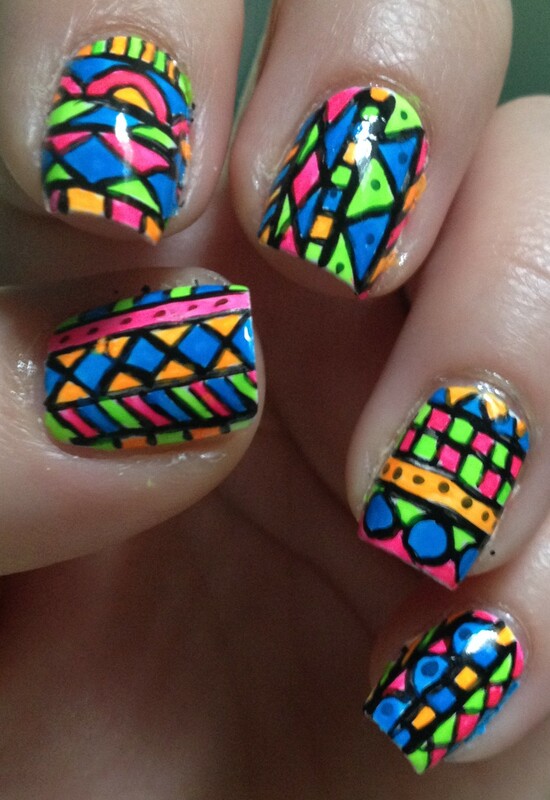 The prompt was neon tribal. 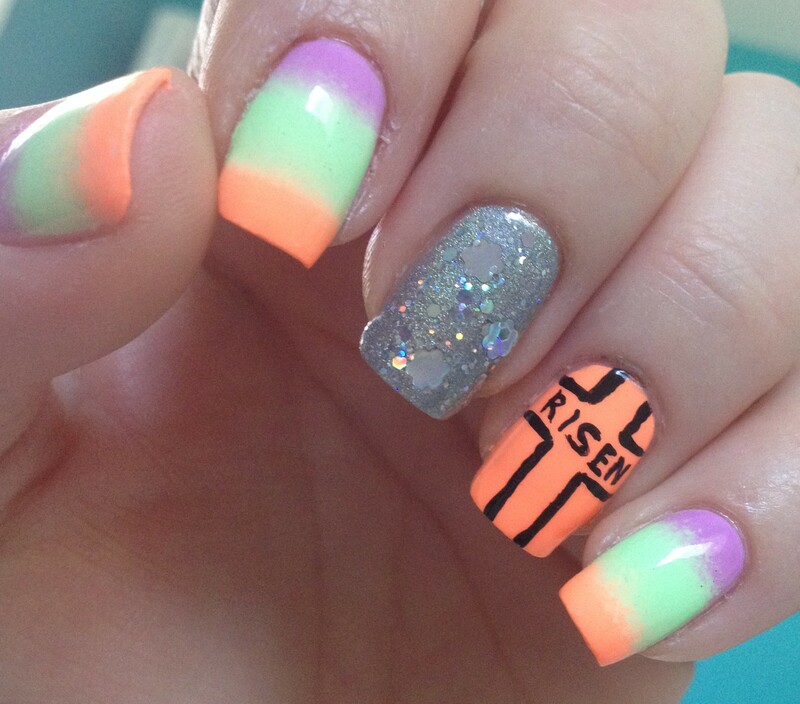 I started with a white base of nail polish and then used neon craft paint for everything else. I did the black lines first and then added in the color. I just sort of winged it. (I always want to say “wung it”, but I know that’s not a word.) 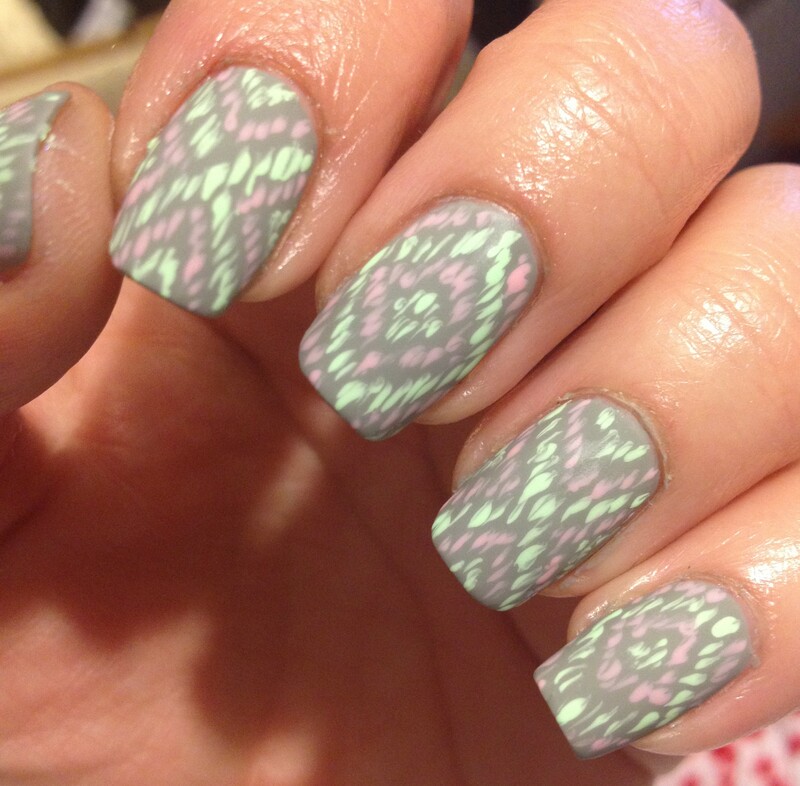 I looked at a bunch of tribal prints on line to get some good ideas before I started, and then I really just made a bunch of diamonds and triangles and dots and circles and lines on my nails. 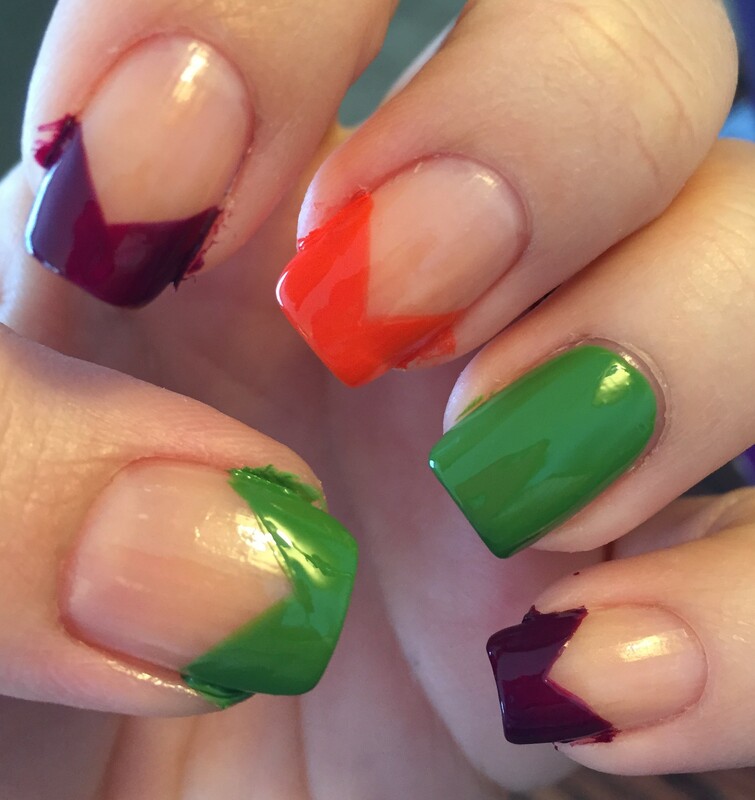 I sort of regret that I didn’t take a picture of my right hand, since all 10 nails were different. The lines on my right (or Cinderella) hand weren’t as straight and crisp and the ones on my left hand, but it turned out decently enough. These suckers were time consuming! They took around 2 1/2 hours on a Friday night in front of the TV. I get that spending that long painting tiny shapes might be infuriating and painstaking for some people, but for me it’s sort of therapeutic and relaxing. We all have our own thing, right? Okay now, let’s cover some nail polishing basics. 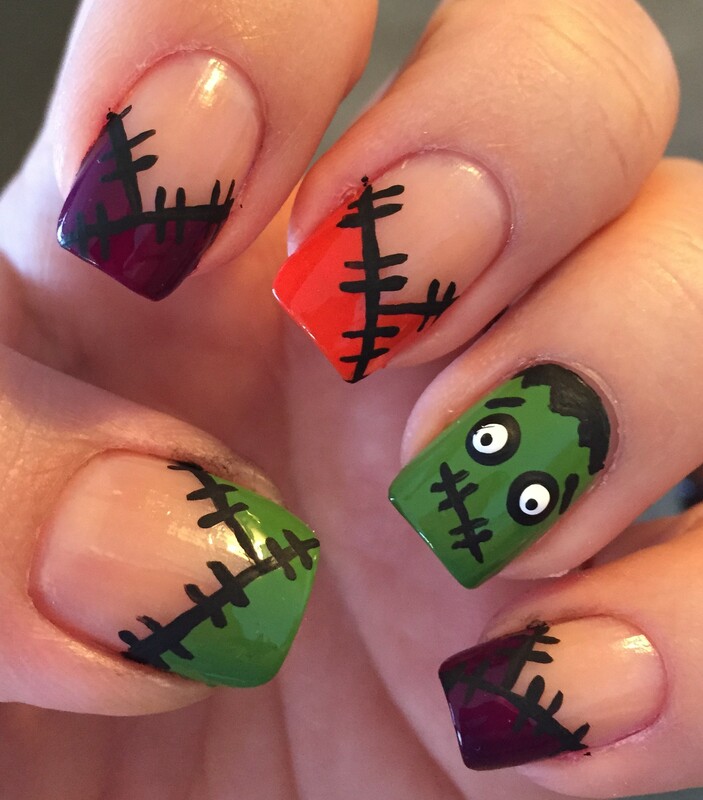 This is all stuff that I either figured out on my own over the years or that I learned from some of the amazing nail guru types that are out there. Here’s we go. 1. Do the stuff in Nail Care Basics first. Now that you have done that, you are allowed to move onto step #2. 2. 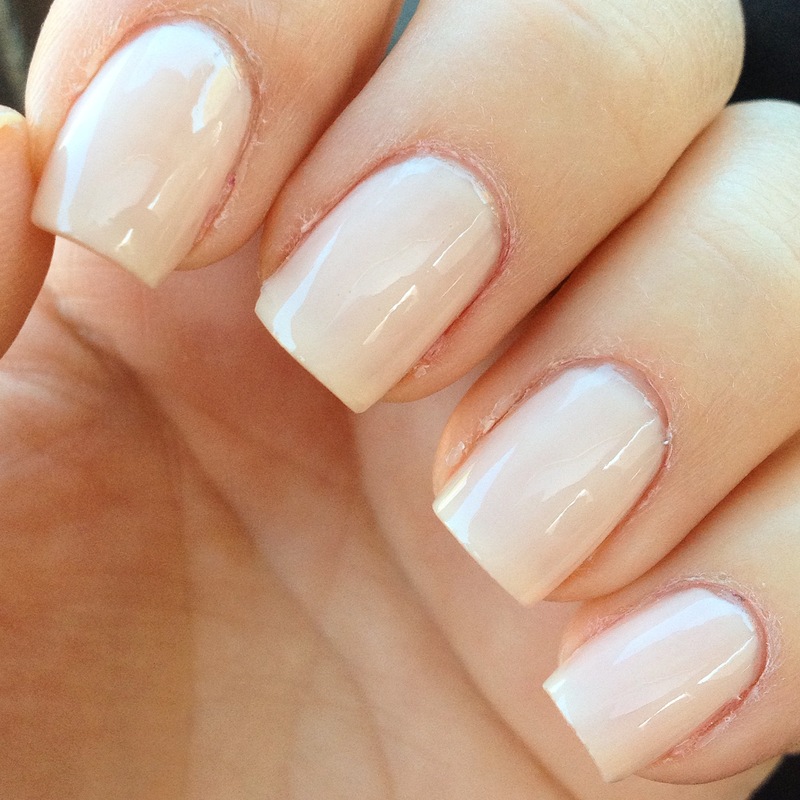 Start with clean nails. I don’t just mean that you should clean the dirt and nonsense out from under your nails, although that’s always a good thing. 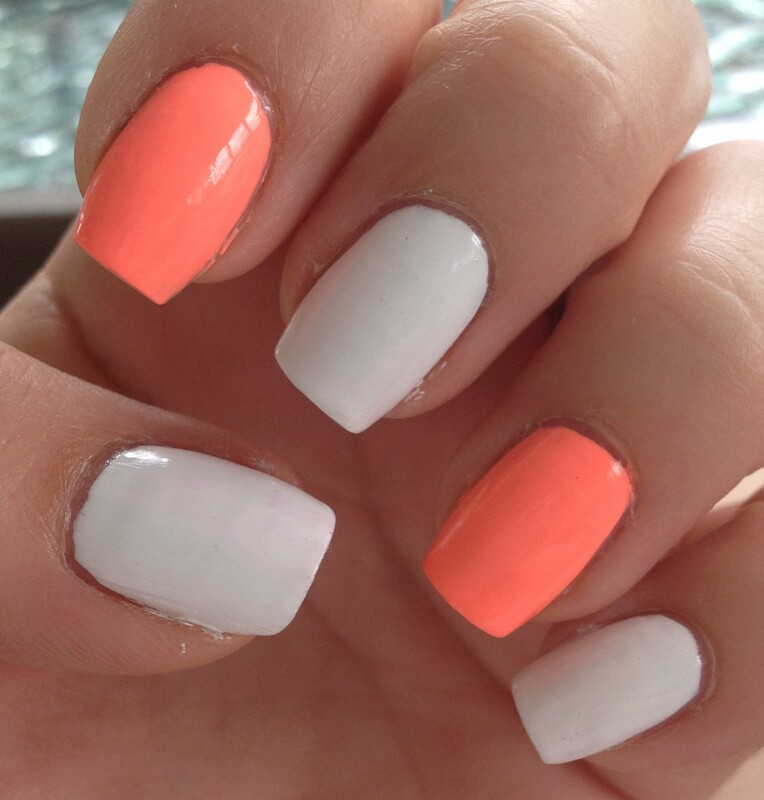 For nail polish to really adhere to your nails, you need to remove any and all oil and lotion from your nails. A good drying soap, like dish soap that breaks down oil works well. 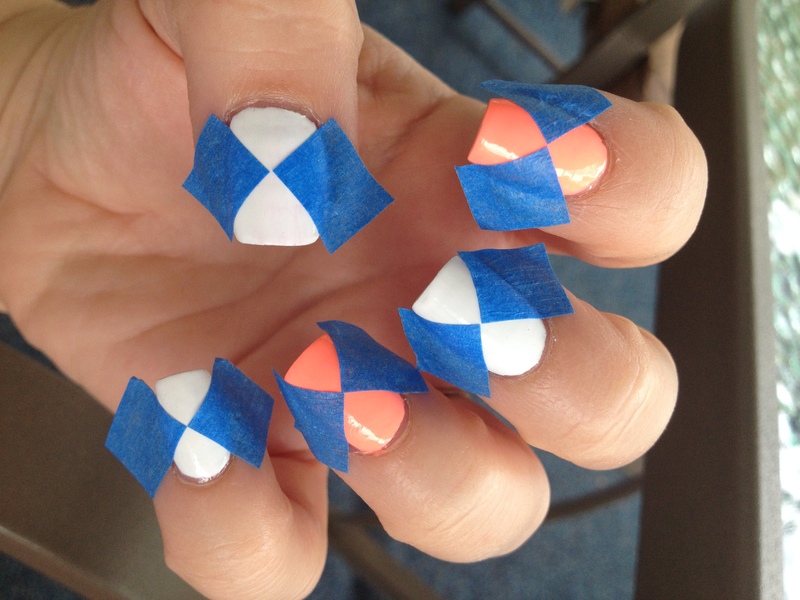 For extra measure, you can whip your nails down with rubbing alcohol or nail polish remover. If you have a lot of problems with your polish chipping really quickly, you may have naturally oily nails. There are nail dehydrators out there that might help. They typically are in a little bottle and look just like clear polish. I’ve never used one. 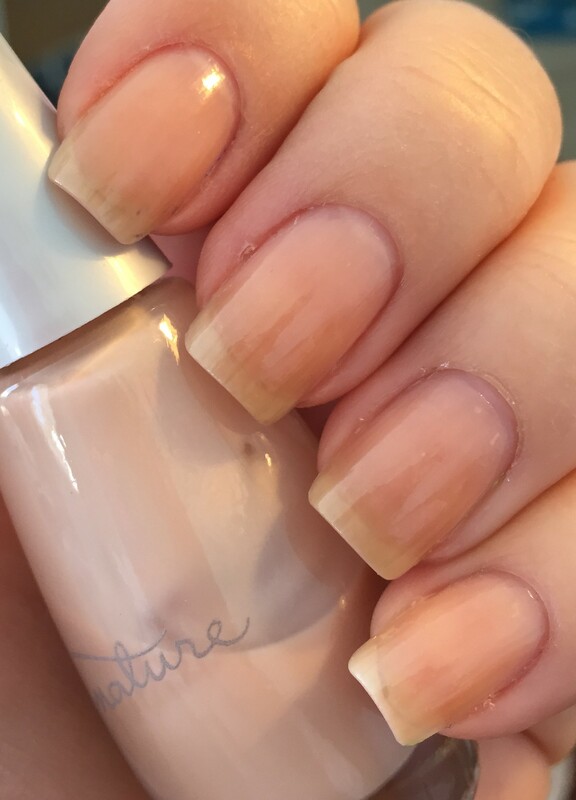 I think in my old age, my nails are probably naturally kind of dry. 3. Roll your polish. Don’t shake the bottle like a crazy person. 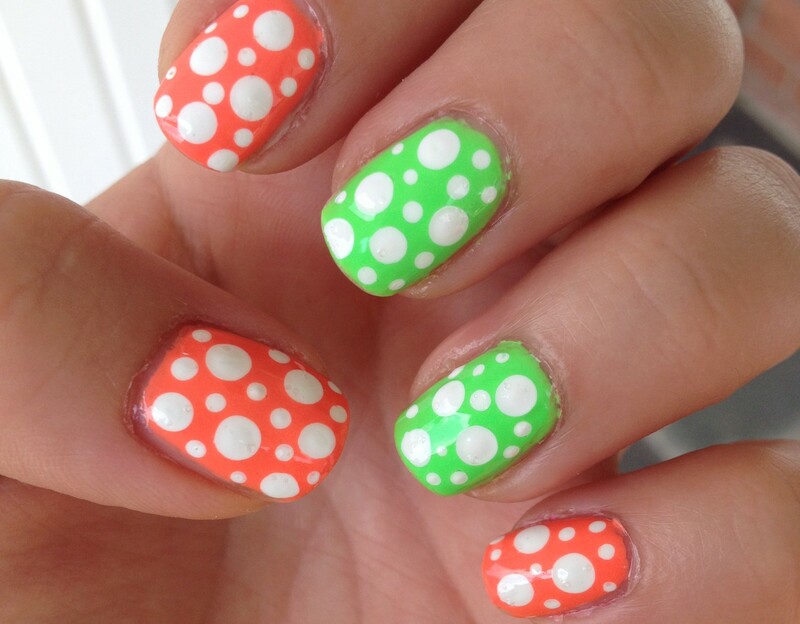 If you do that, you’ll get little irritating air bubbles in your polish which will show up as your polish dries. Just roll the bottle on its side between your palms. I’m good, so I can just roll the bottle with one hand. Just kidding. The one-handed roll is not hard to do. 4. Load your brush with the right amount of polish. All polish is different, but generally, I pull the brush out of the bottle and wipe off one side of the brush on the bottle neck. 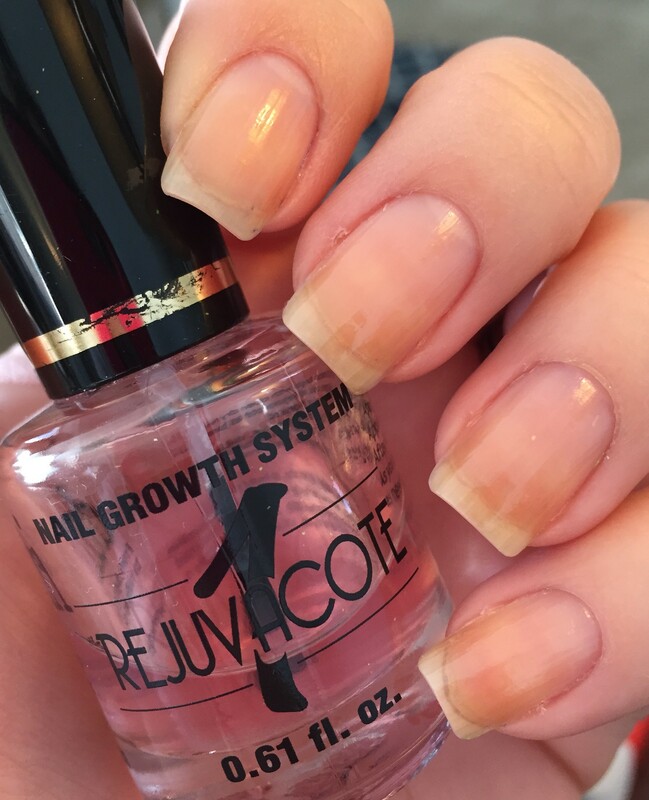 You want to transfer a decent size drop of polish onto your nail without having a bunch of polish drip all over the place in the process. 5. 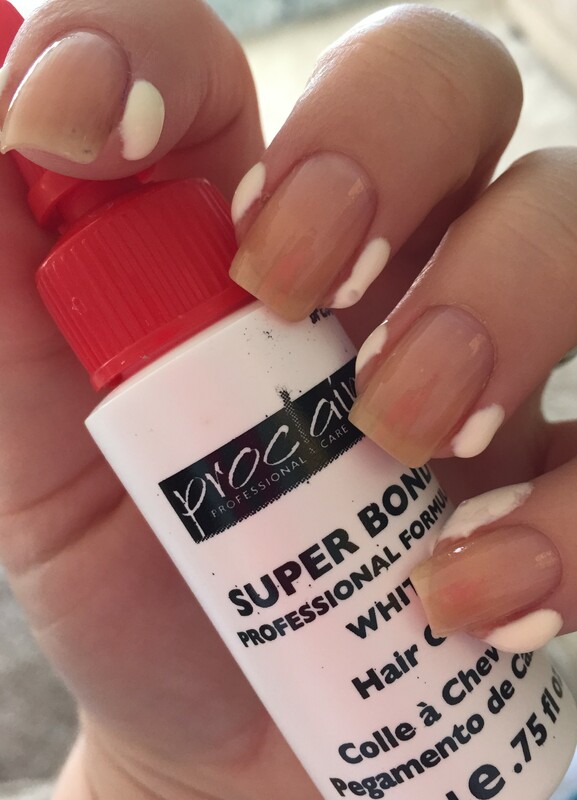 This is maybe the most important thing: DON’T GET POLISH ON YOUR CUTICLES! Seriously, this is what separates the pros from the amateurs. 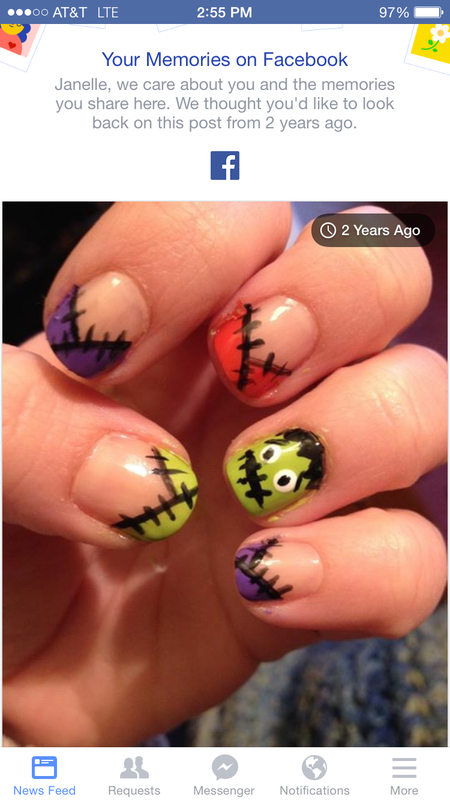 I look at some of my old nail pictures and shudder. Do you see that polish slopped all over my cuticles? Oh the shame. Really, the only way to get good at not slopping polish all over your cuticles is to practice. 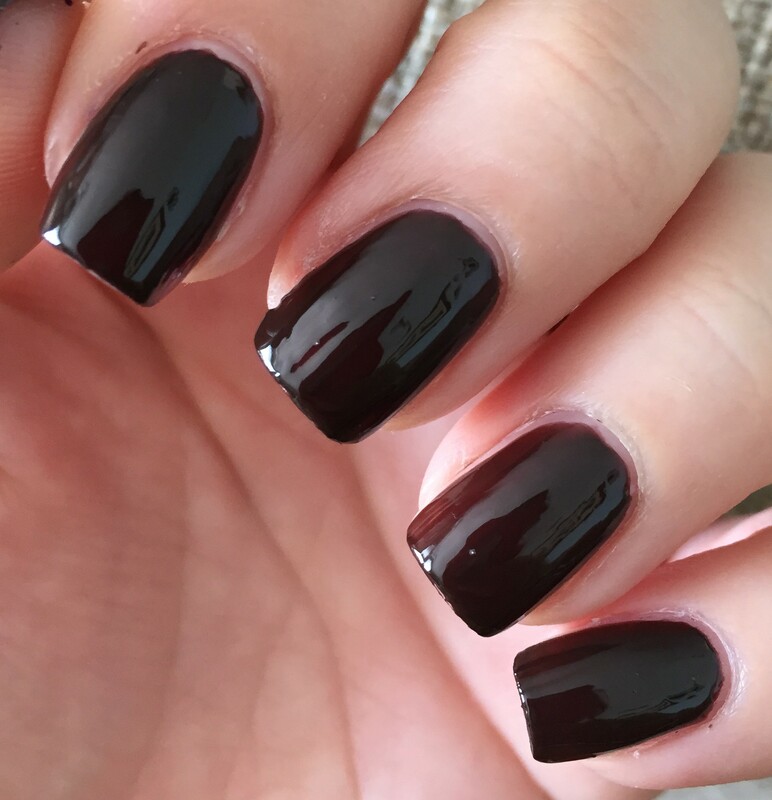 The best way that I’ve found to avoid getting polish on your cuticles is to take your polish brush (after you’ve loaded it correctly) and place it on your nail close to – but not touching your cuticle. 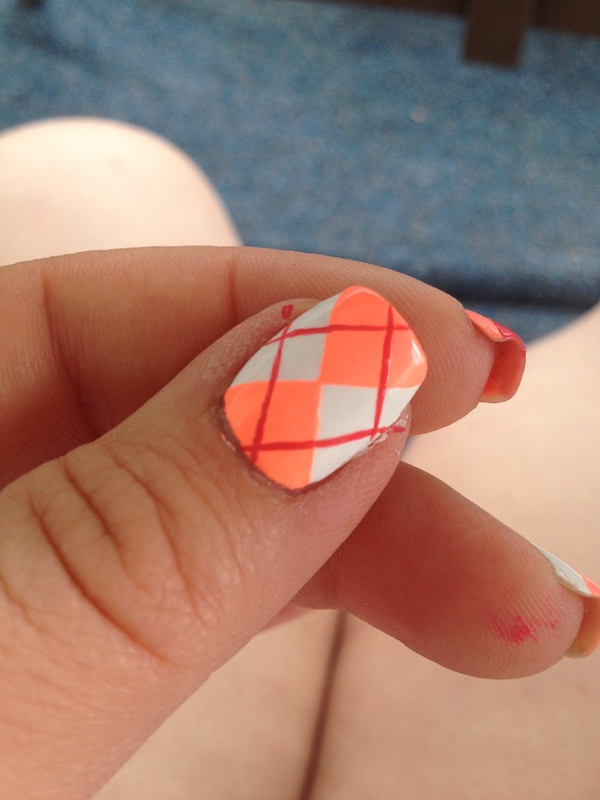 Then sort of push the polish up as close as you can to your cuticle without touching your cuticle. 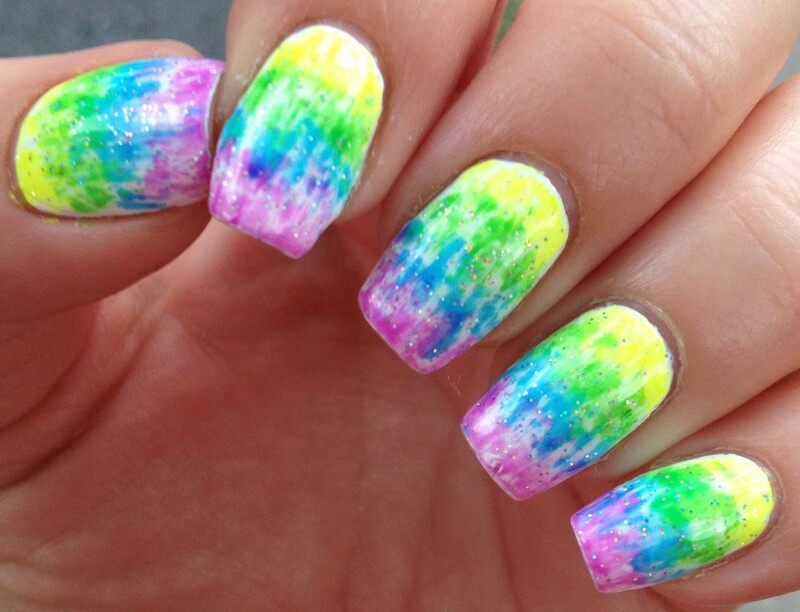 Then pull the brush down to the tip of your nail. 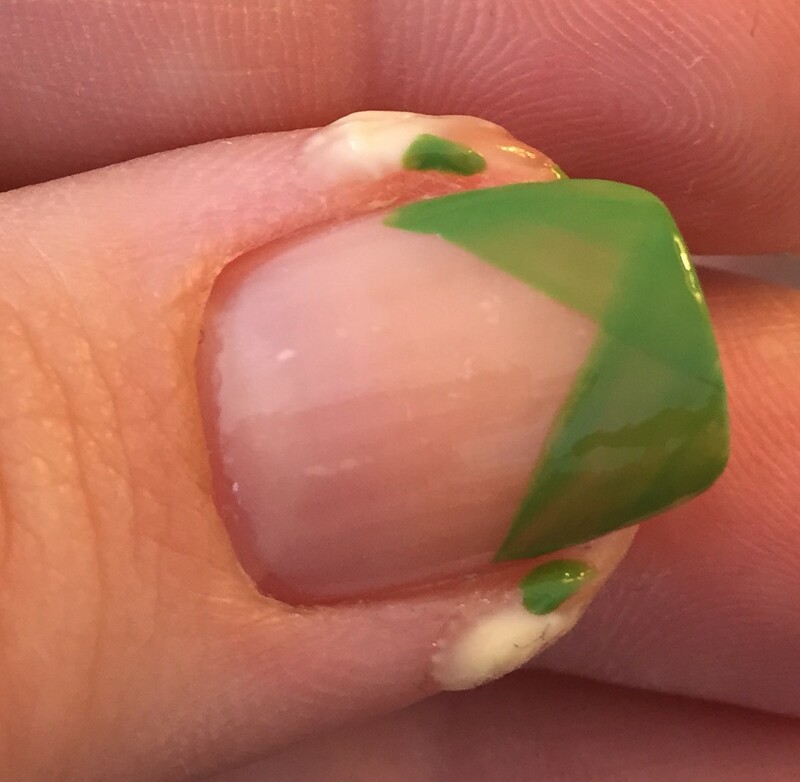 Lacquerized has a great little graphic of this technique. The only thing I do differently than she does is that I do the sides of my nails first and then finish with a swipe down the middle. Figure out what works best for you. 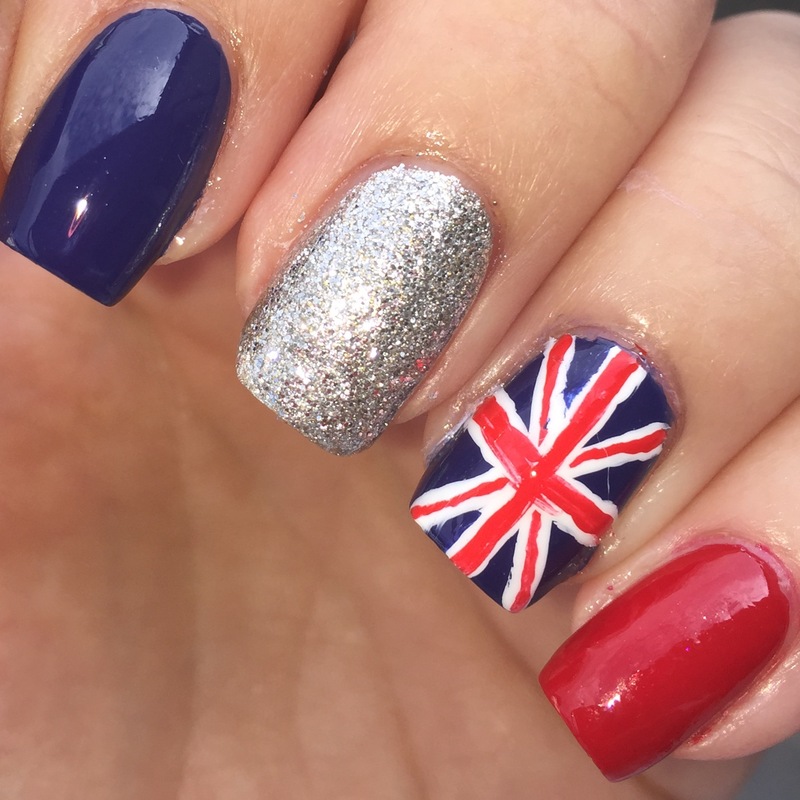 JUST DON’T GET POLISH ALL OVER YOUR CUTICLES!…. So you messed up and got polish all over your cuticles? There’s still hope for you. 6. 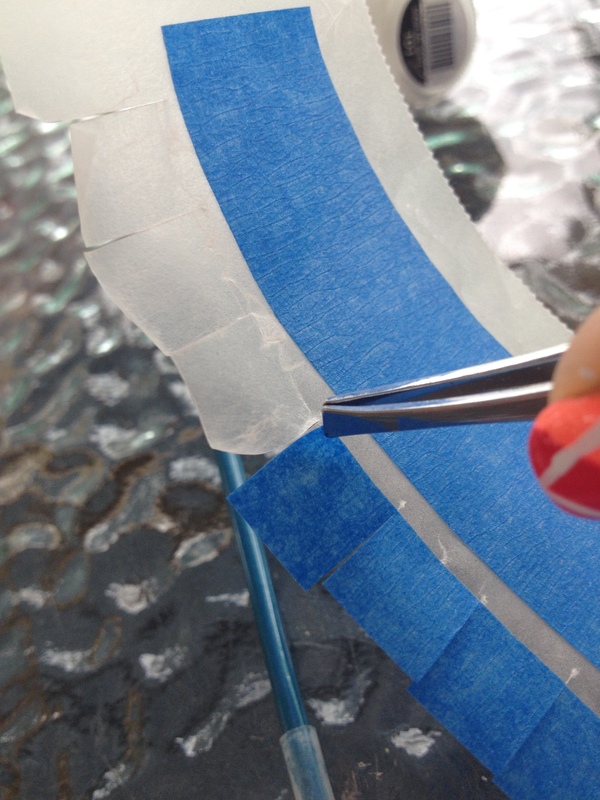 Do some clean-up with a little brush and some acetone. I use the e.l.f concealer brush. This sucker only costs $1-2 and it works perfectly. You should be able to find it at Target or Kmart, and I think Walmart is starting to carry e.l.f. products, too. 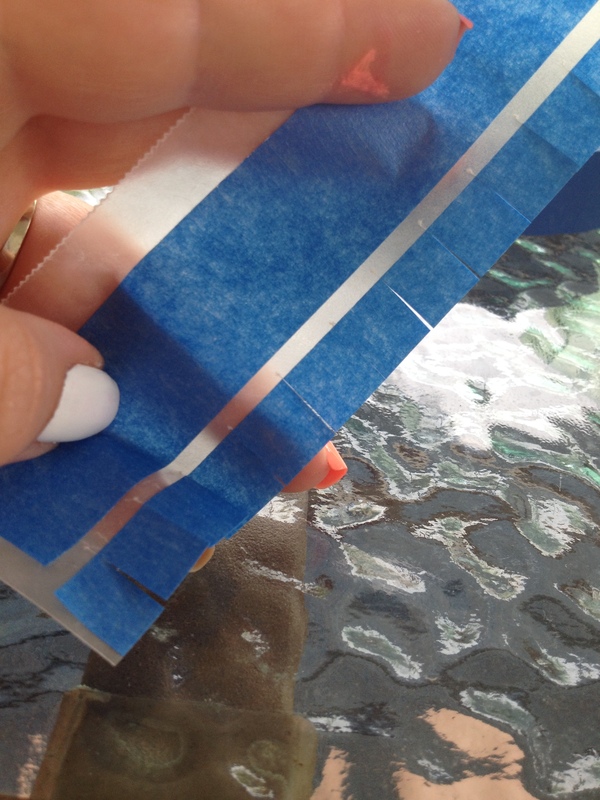 Just dip the tip of the brush into acetone and then give it a quick dab onto a paper towel. 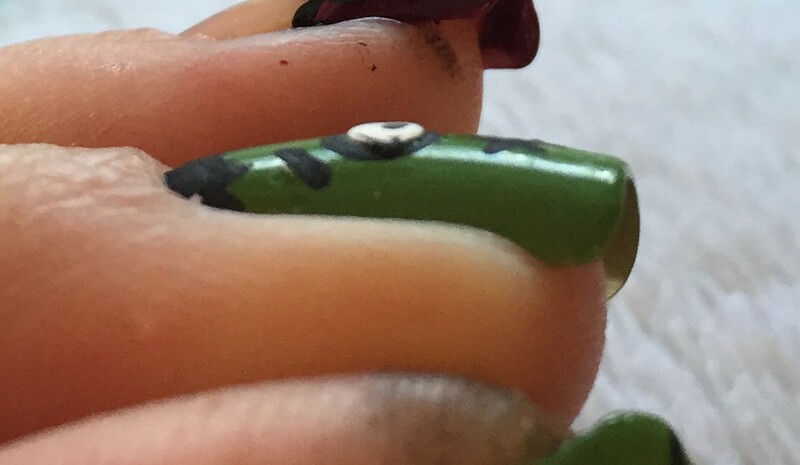 Then use the brush to remove any polish that ended up where it wasn’t supposed to be. 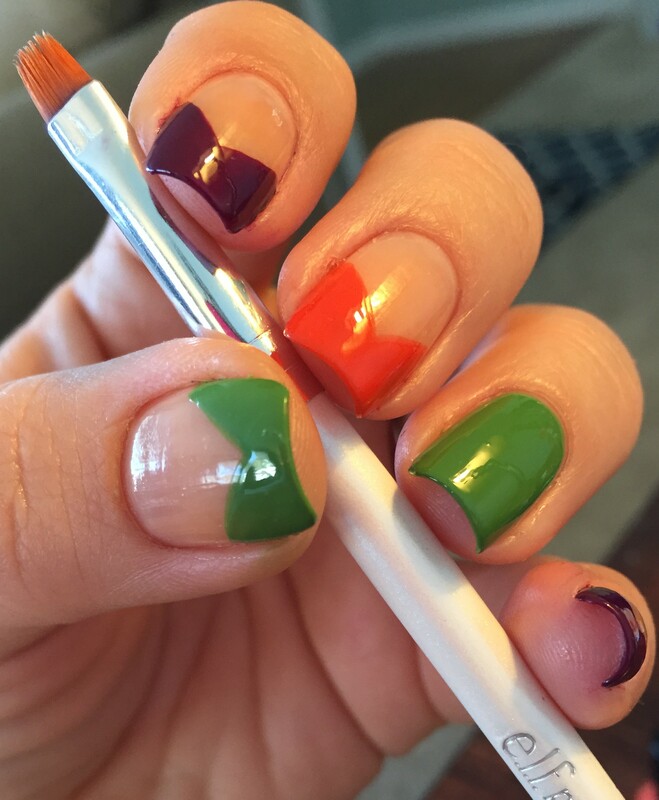 To some degree you can clean up your nails with a Q-tip dipped in acetone, but you can’t really get into the tight placed with a Q-tip that you can with a little brush. 7. 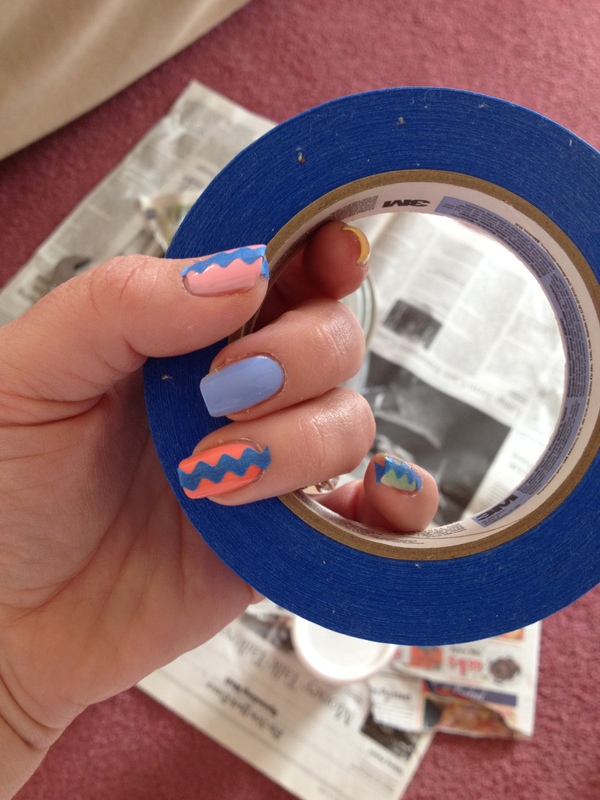 Apply a quick drying top coat. There are lots of these out there. I’ve used Seche Vite, INM Out the Door, and Hoofer’s Choice, but I keep going back to NYC – Grand Central Station. It dries so quickly and it’s so shiny and it only costs around $2! 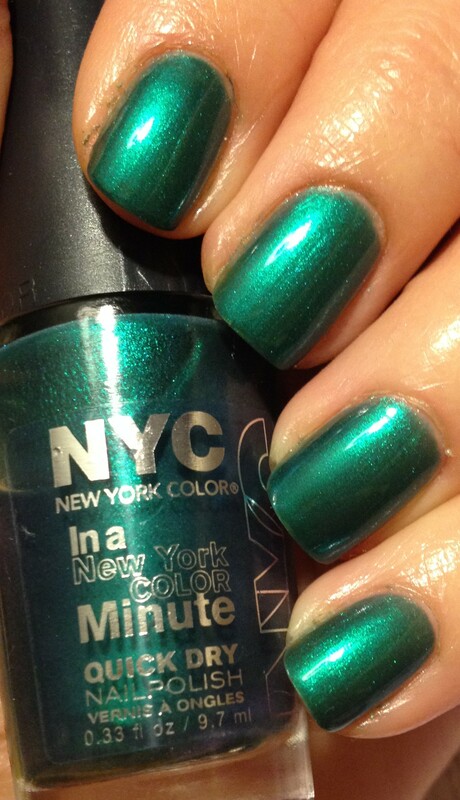 I hear amazing things about Glisten & Glow HK Girl top coat, but I have yet to try it because I’m so happy with NYC. So that’s it! 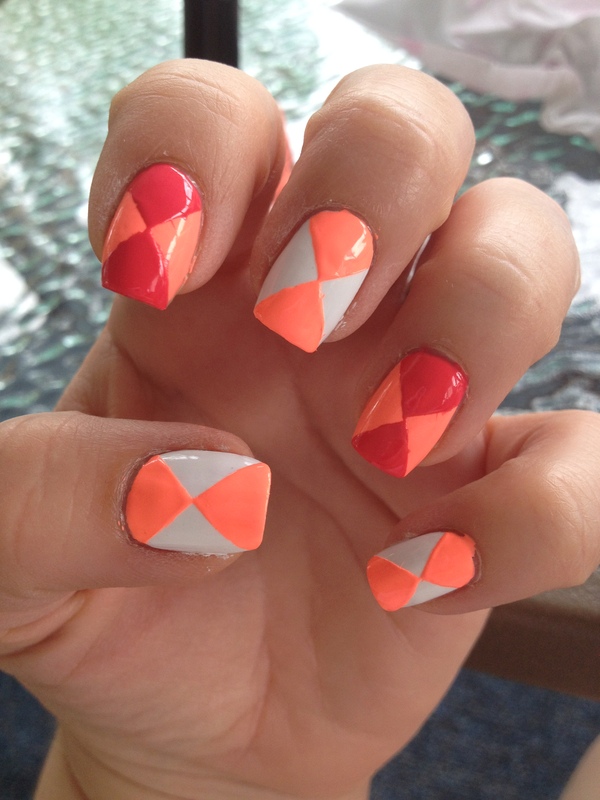 Your nails should look perfect now! 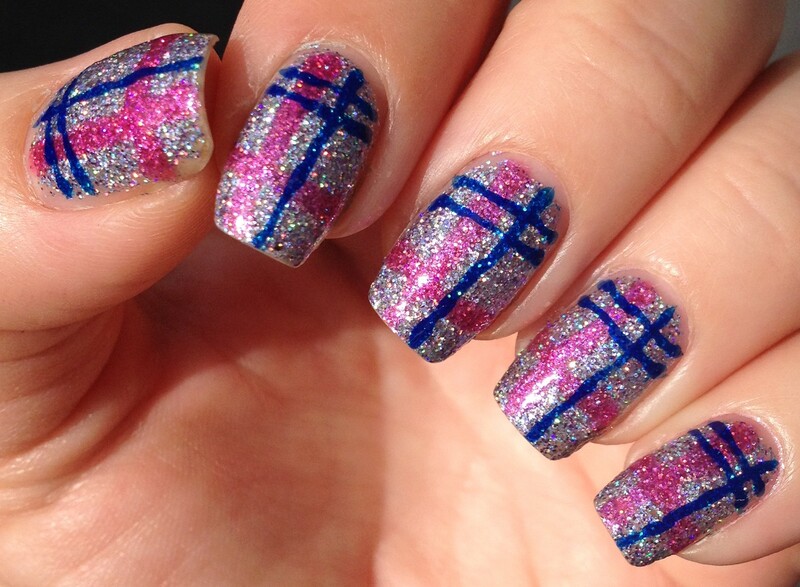 Seriously, it does take practice to get your polish looking perfect, so just hang in there. It will come eventually. Your thoughts, comments, questions, and tips are all very welcome! Thanks for reading!